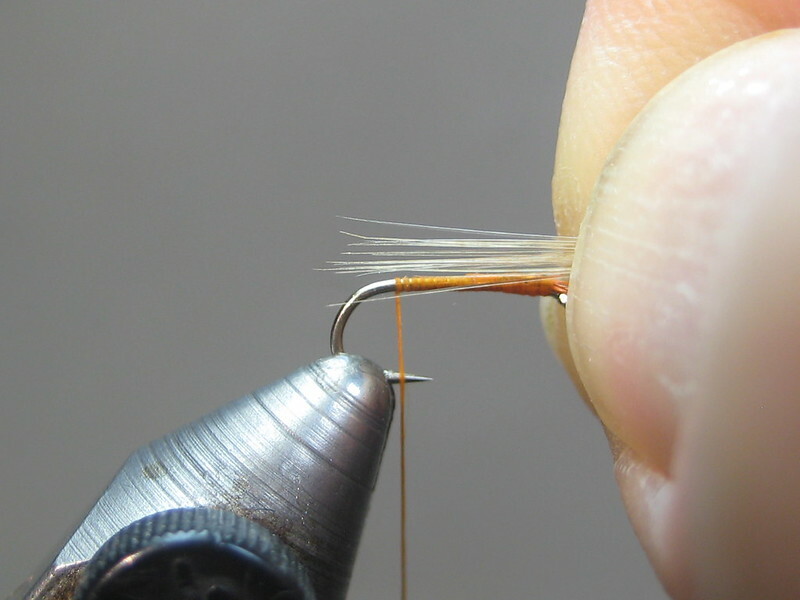 Last edited by ScottP on Mon Jan 22, 2018 5:31 am, edited 2 times in total. 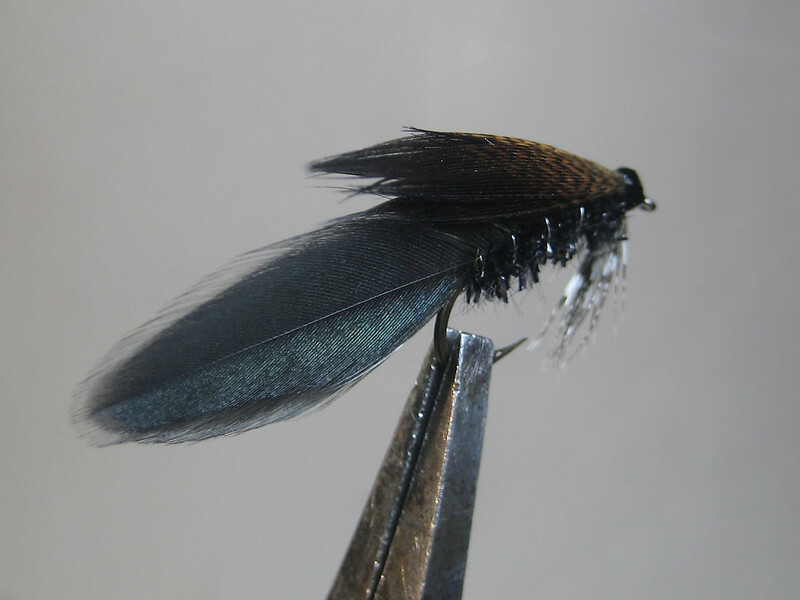 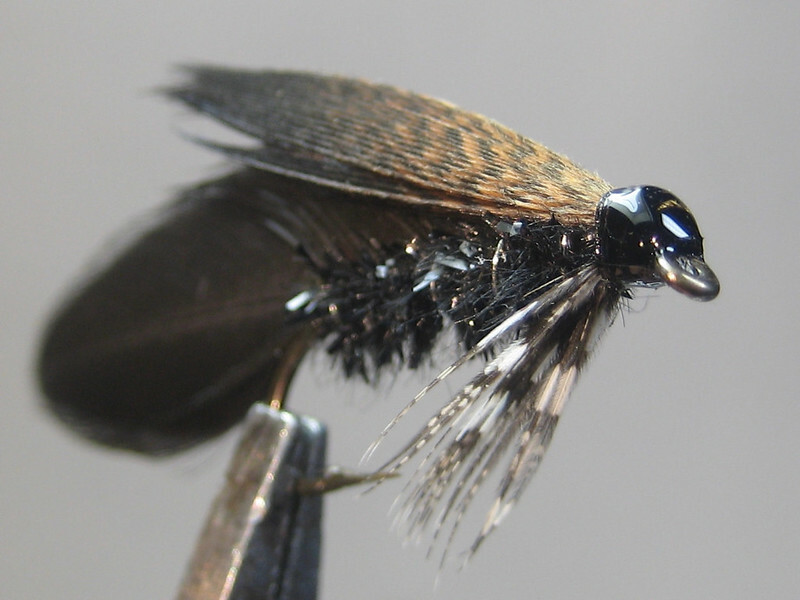 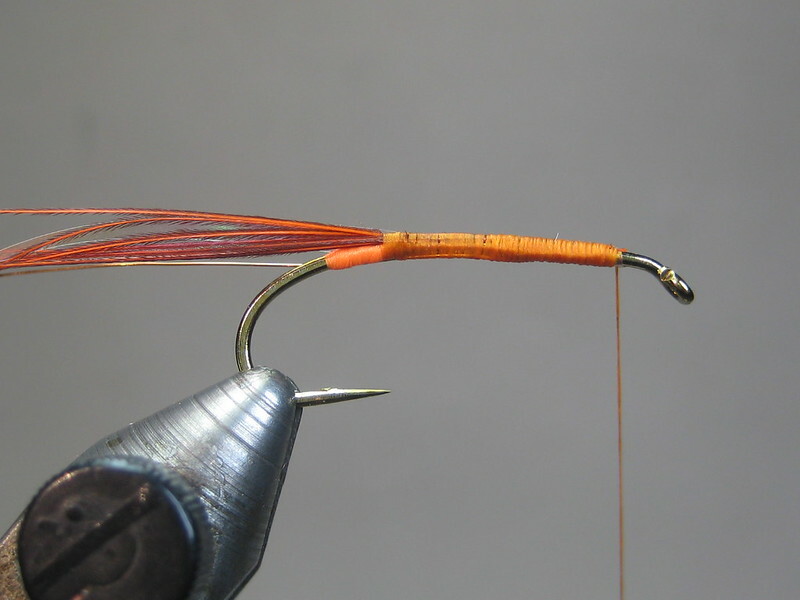 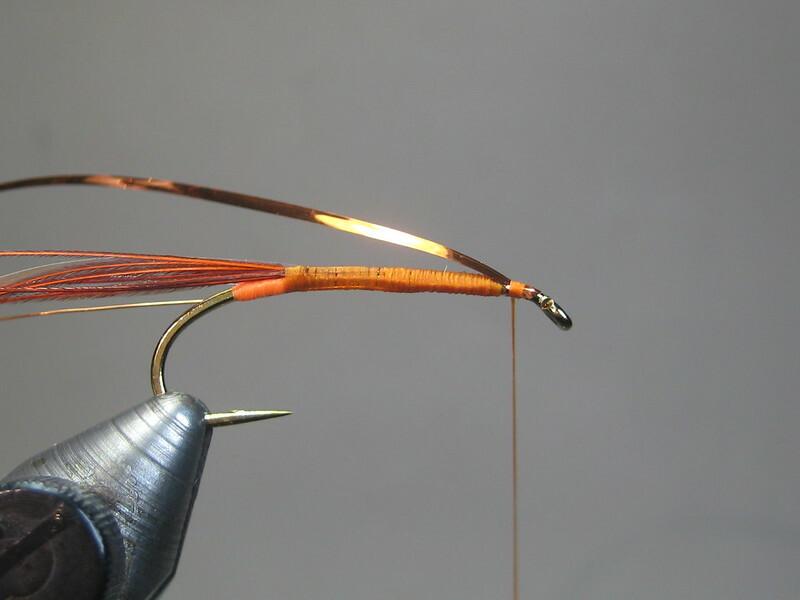 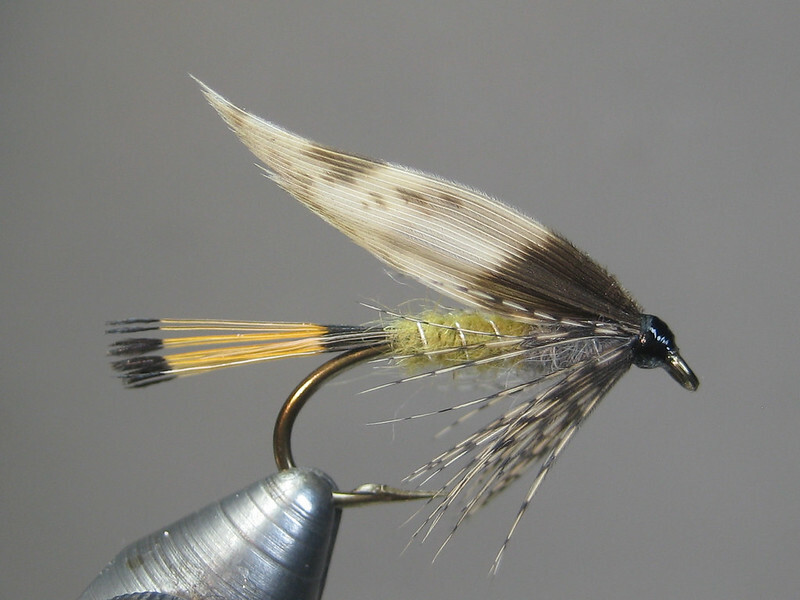 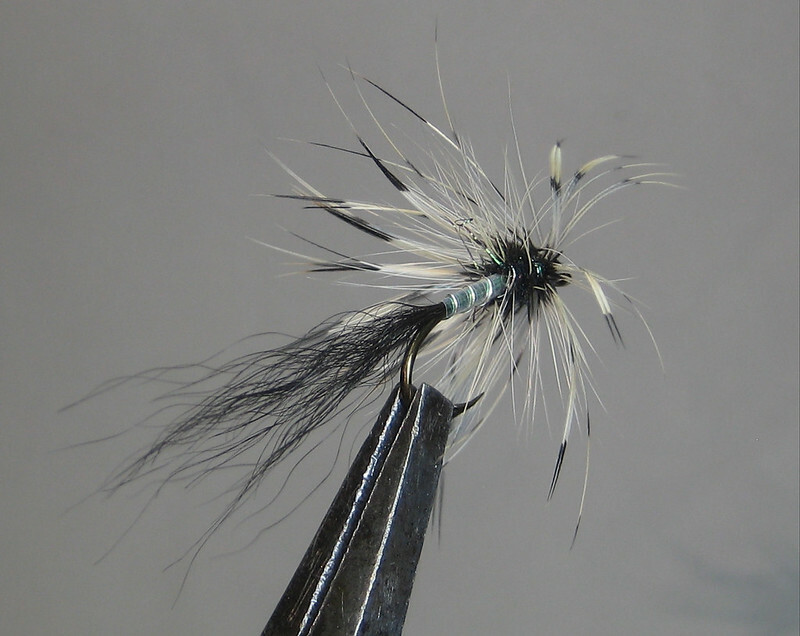 Stretched out the body and changed the color scheme a bit for an October Caddis. 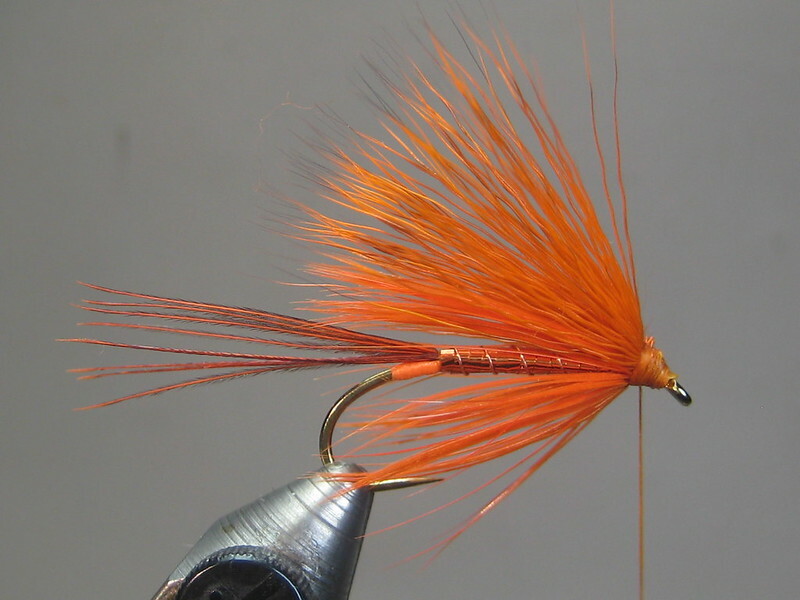 Dyeing, except for the deer hair, accomplished with 2 packs orange Koolaid. 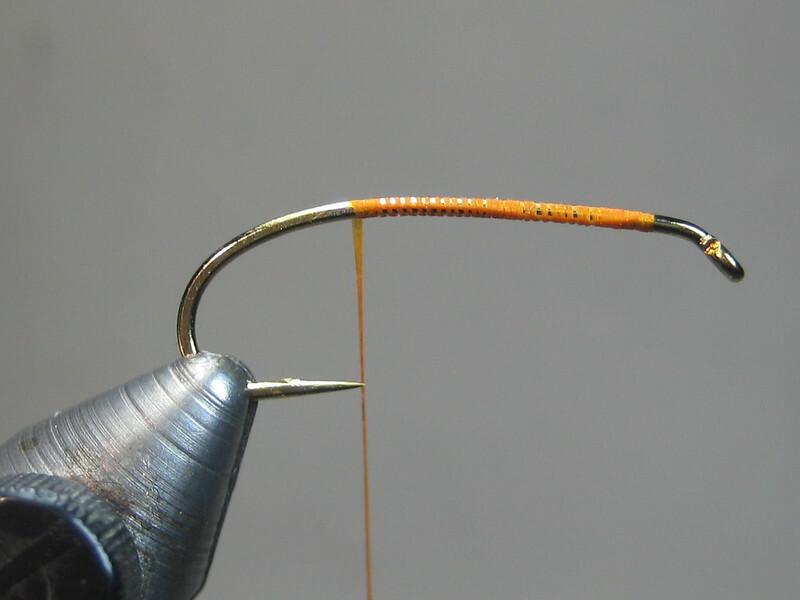 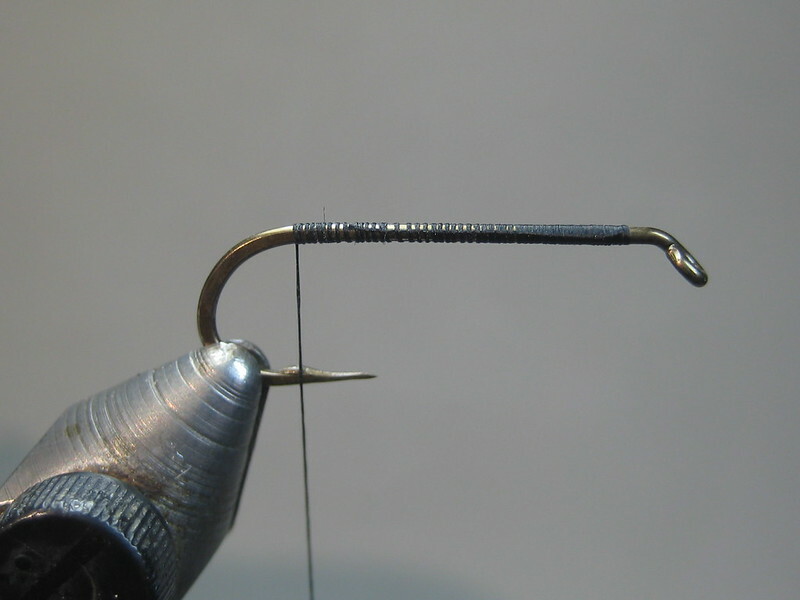 A vintage attractor from William Blades. 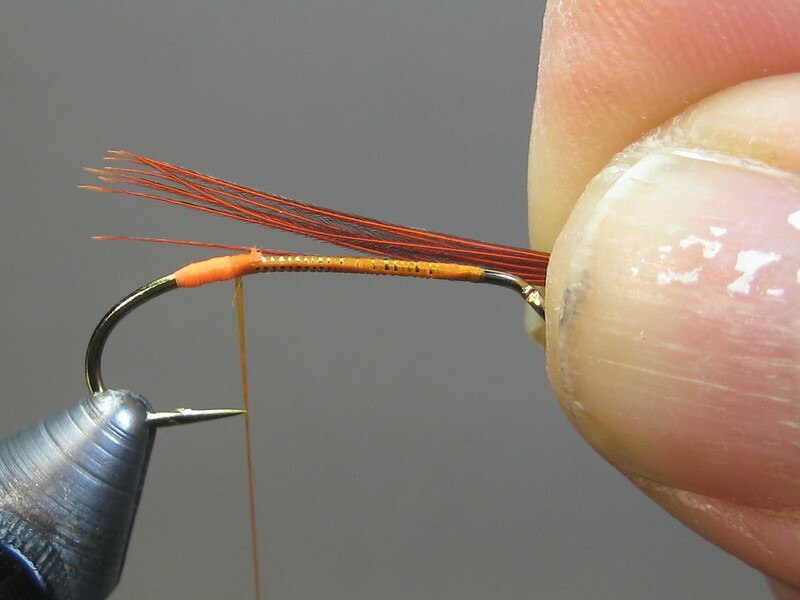 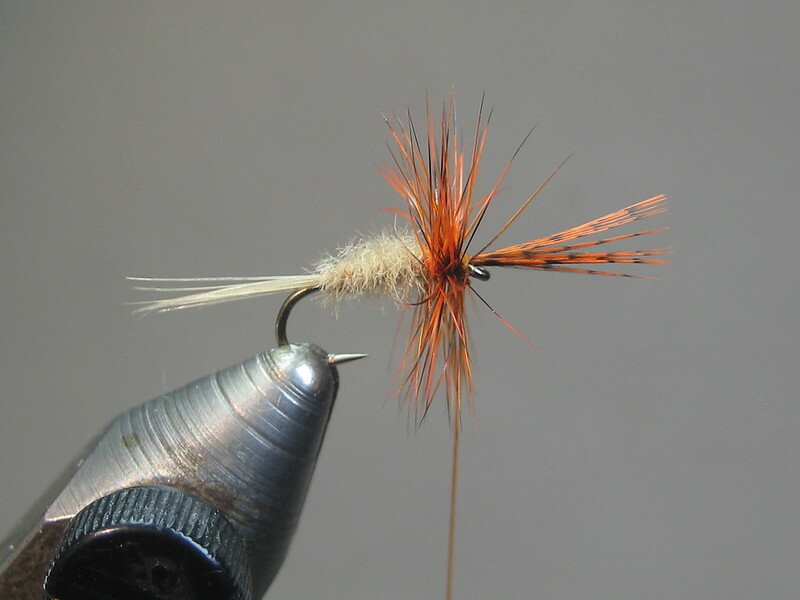 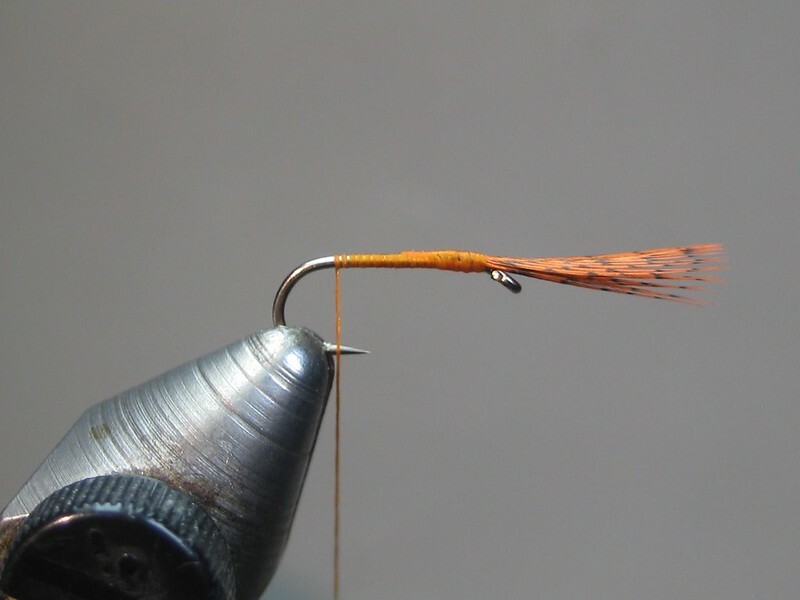 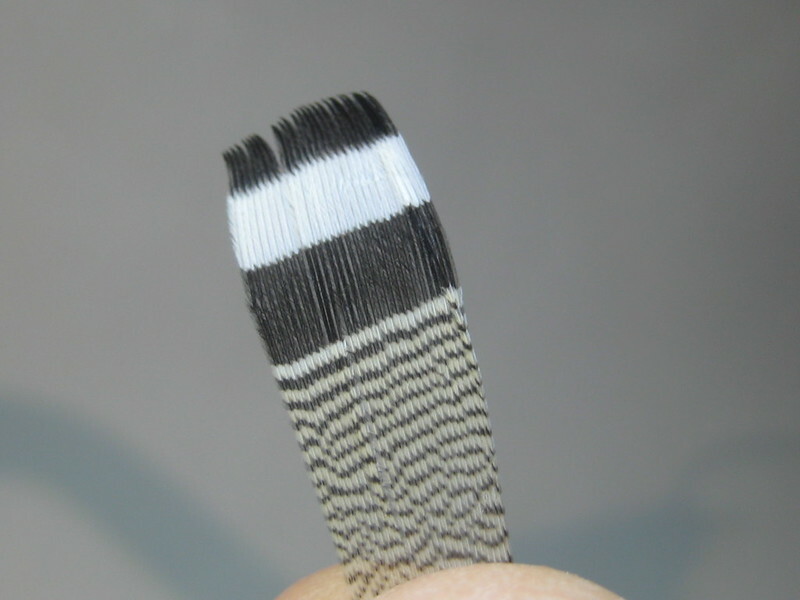 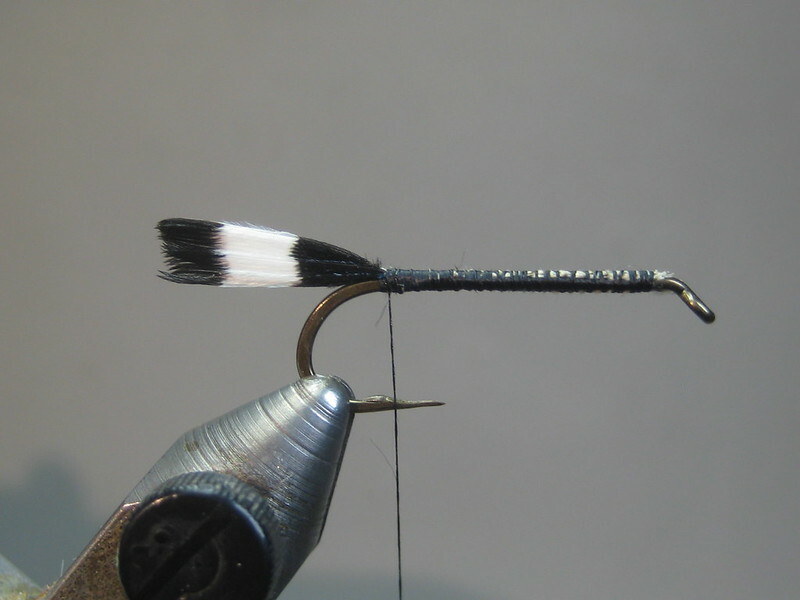 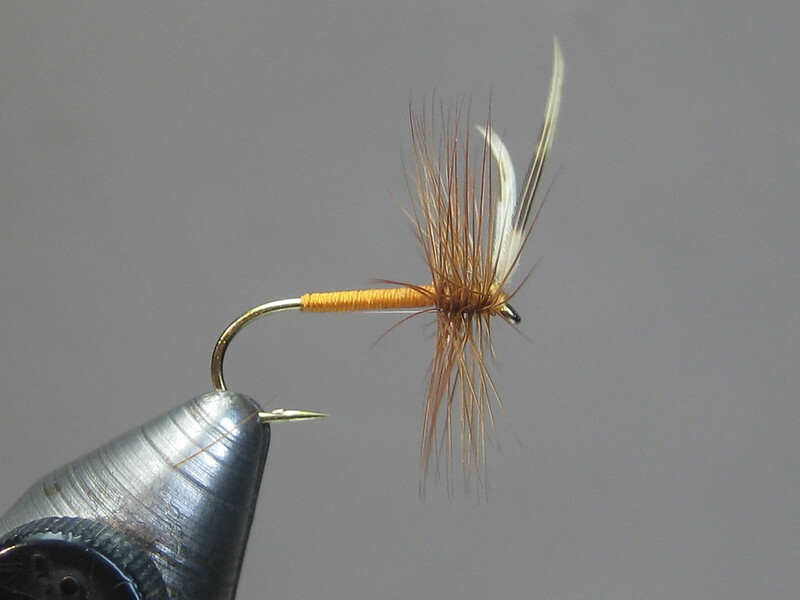 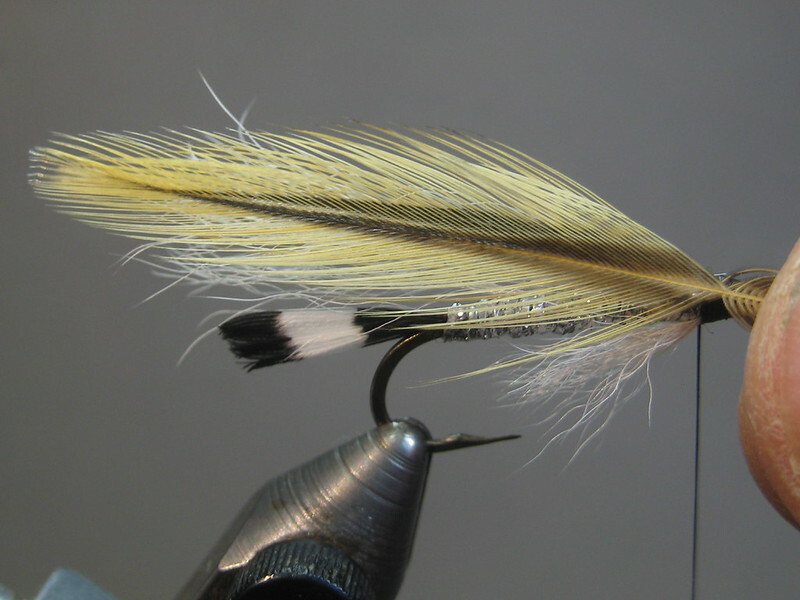 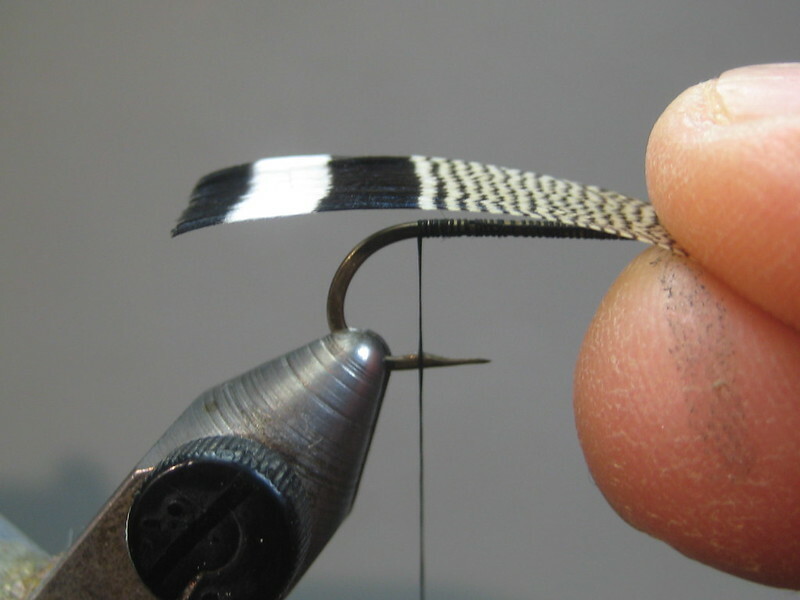 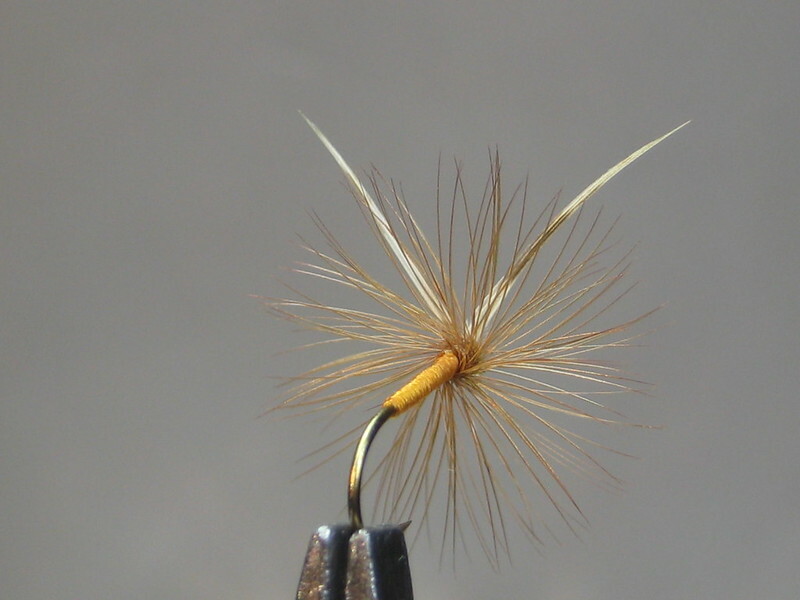 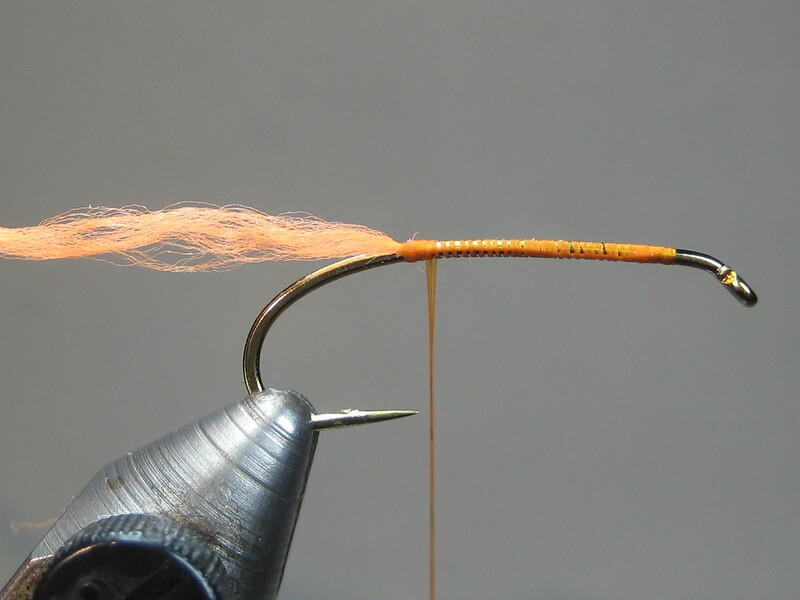 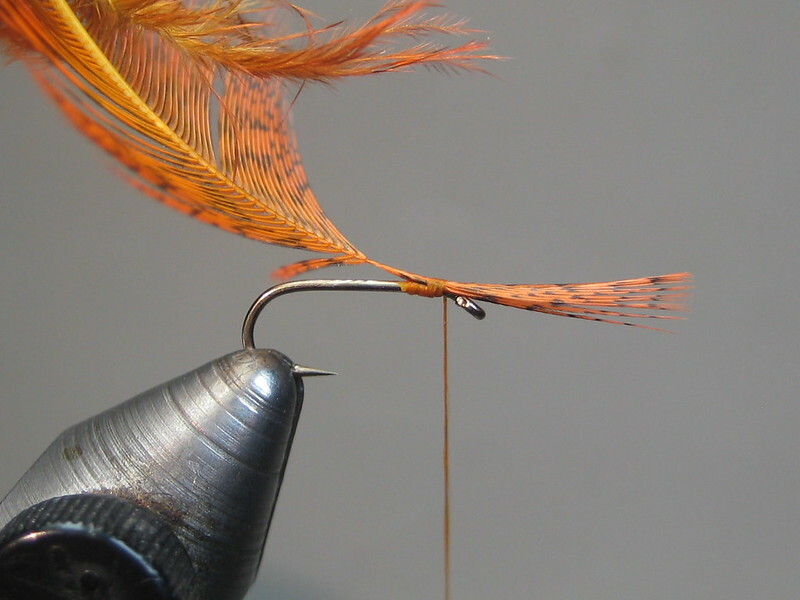 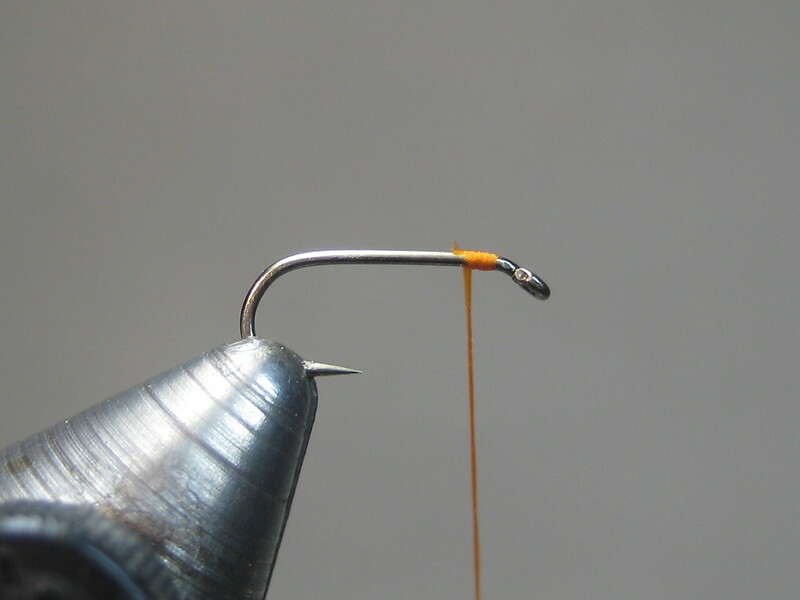 From South African tyer Jack Blackman; their version of the Gold-Ribbed Hare's Ear. 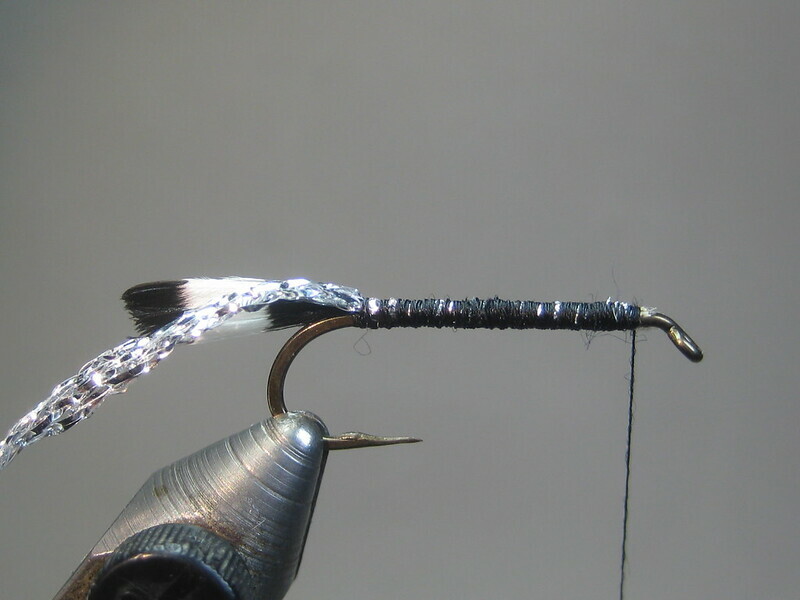 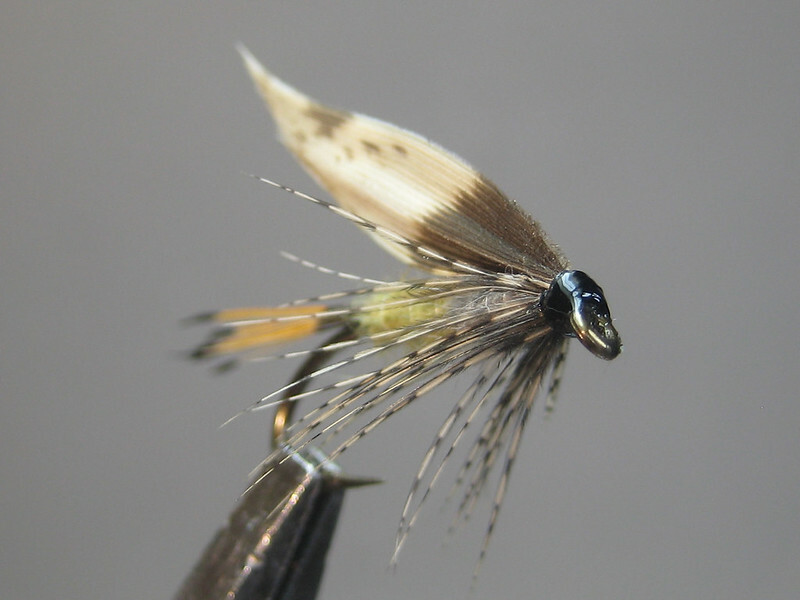 A vintage grayling pattern. 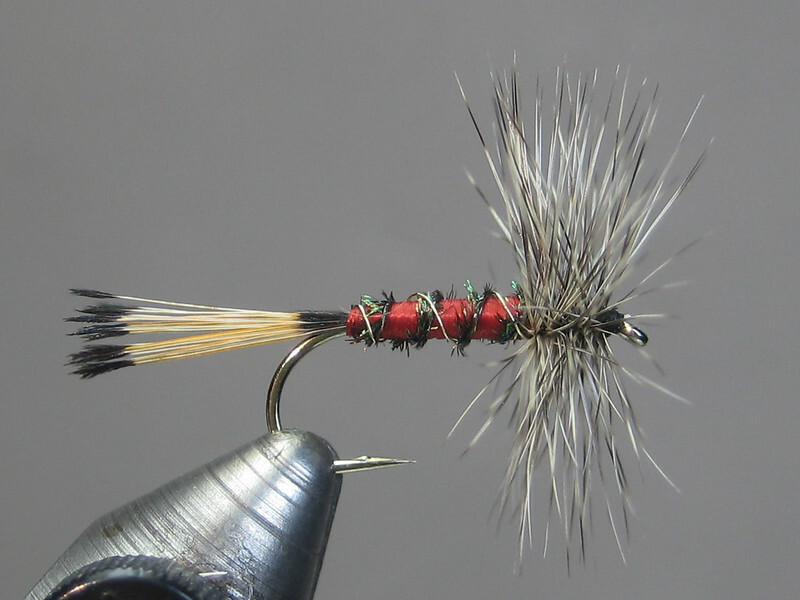 Since I'd like to use it as a dry, I replaced the red wool tail with something that might actually help it float. 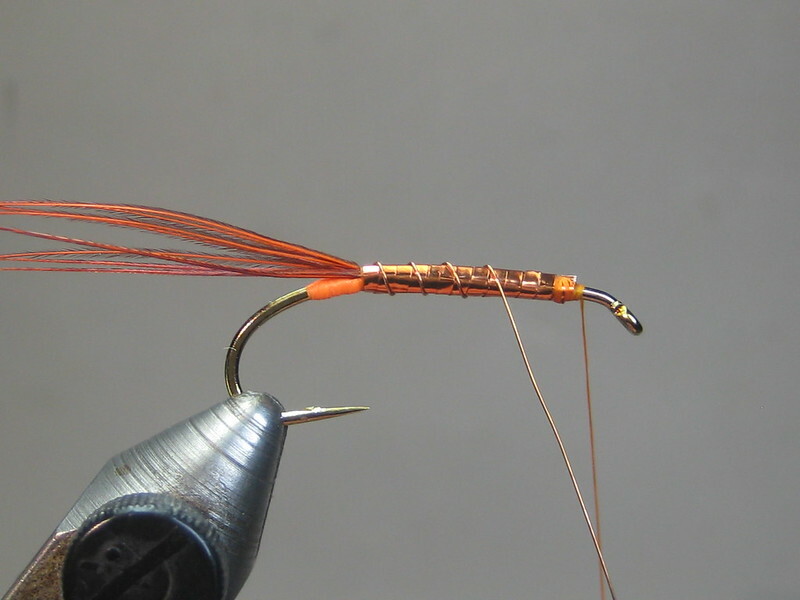 Another vintage Welsh grayling pattern. 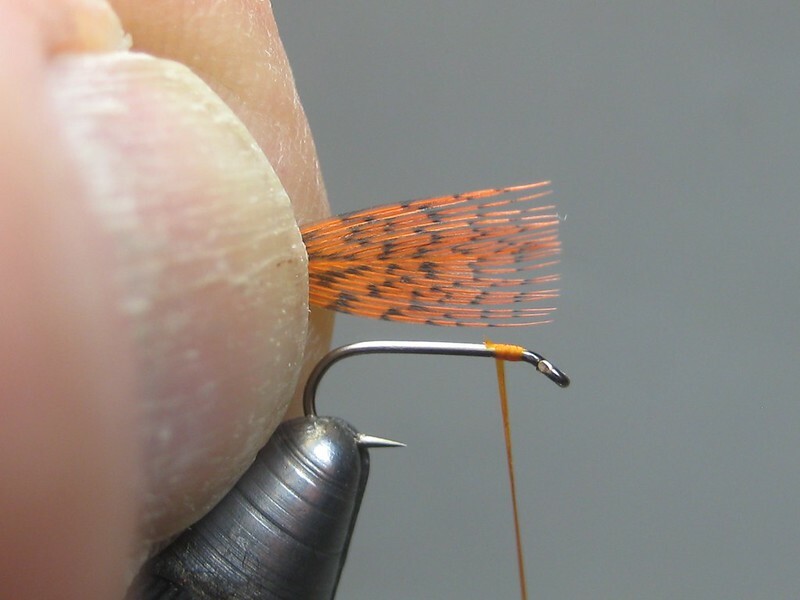 Found this version on the [url='"http://www.fishingwithstyle.co.uk/yorkshirepost2011.htm"]fishingwithstyle site[/url]. 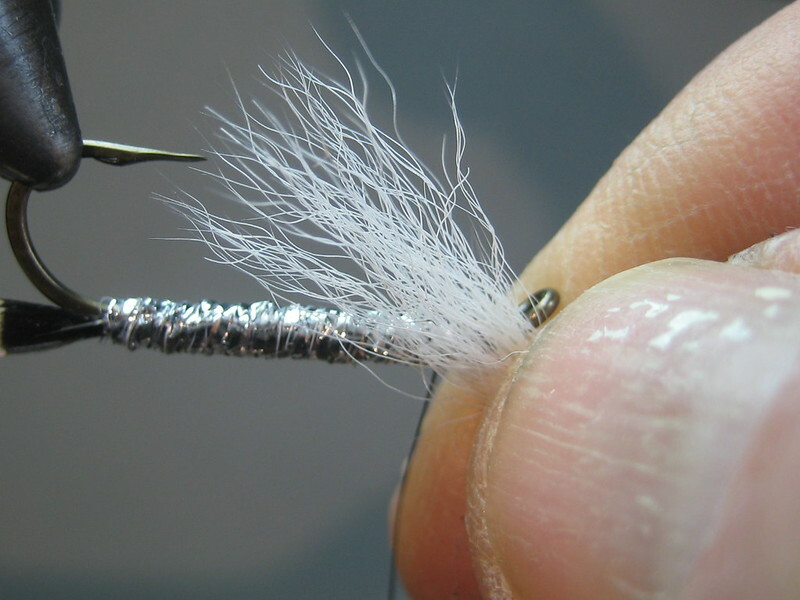 Last edited by ScottP on Fri Jan 19, 2018 2:54 pm, edited 3 times in total. 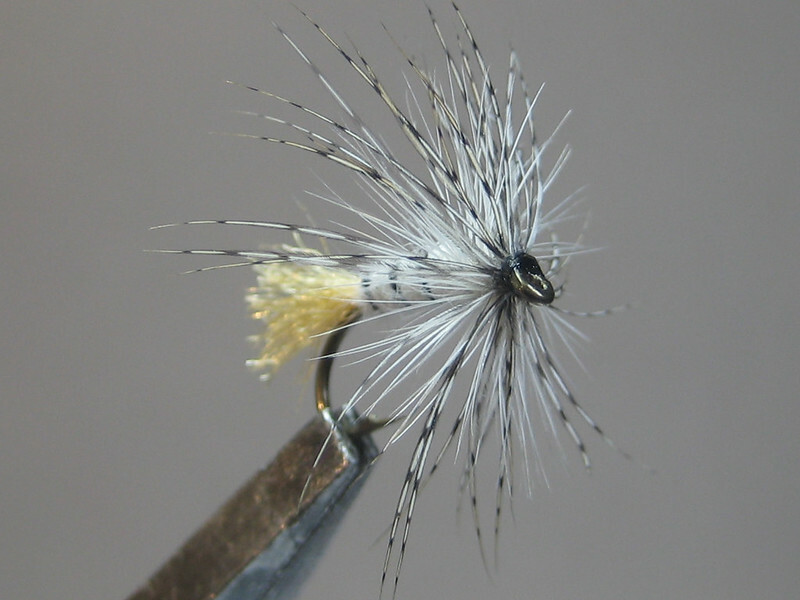 A vintage pattern attributed to the Rev. 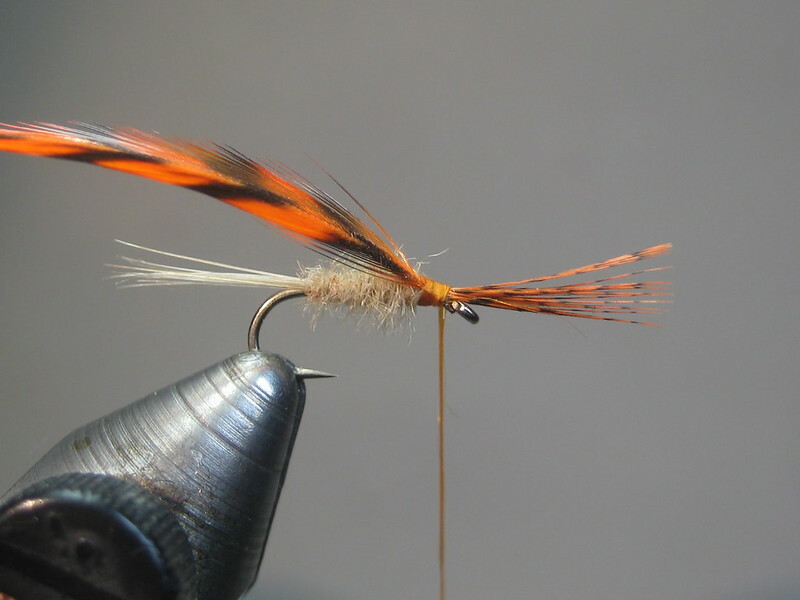 Edward Powell. 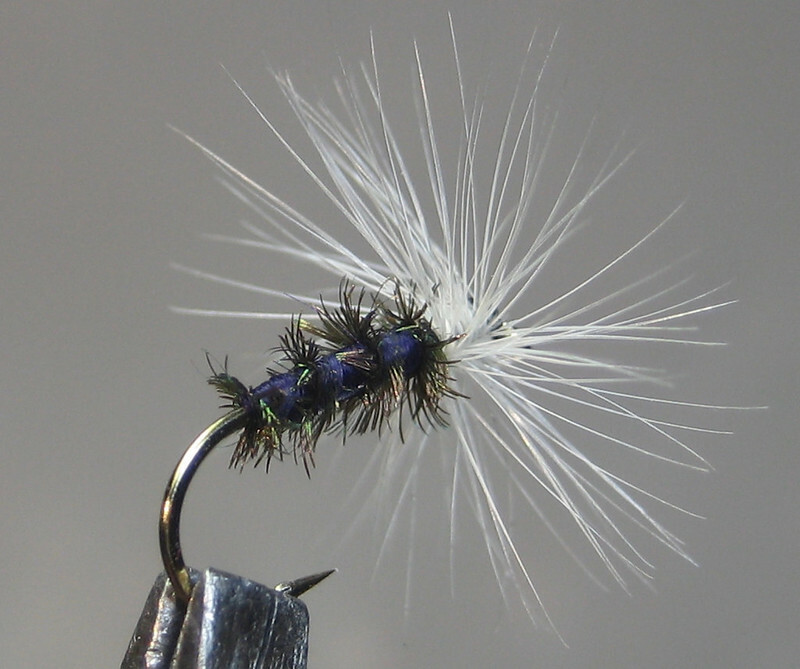 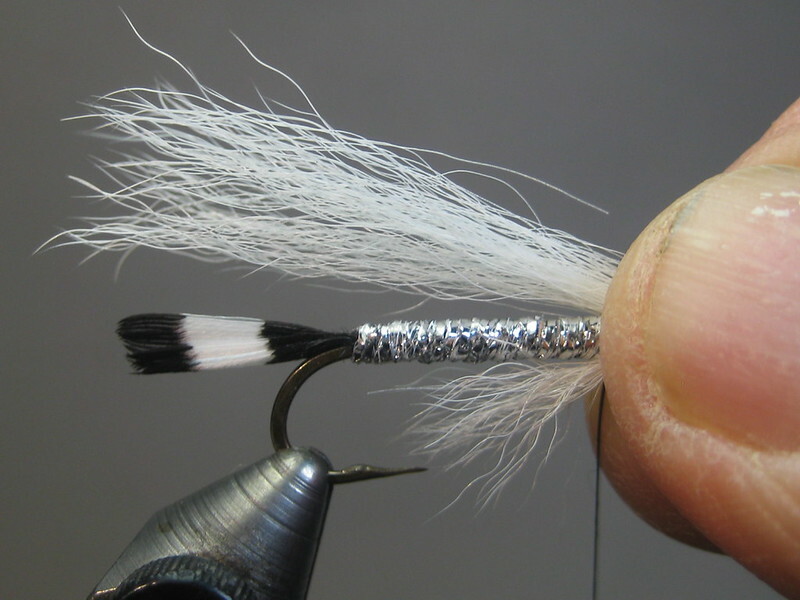 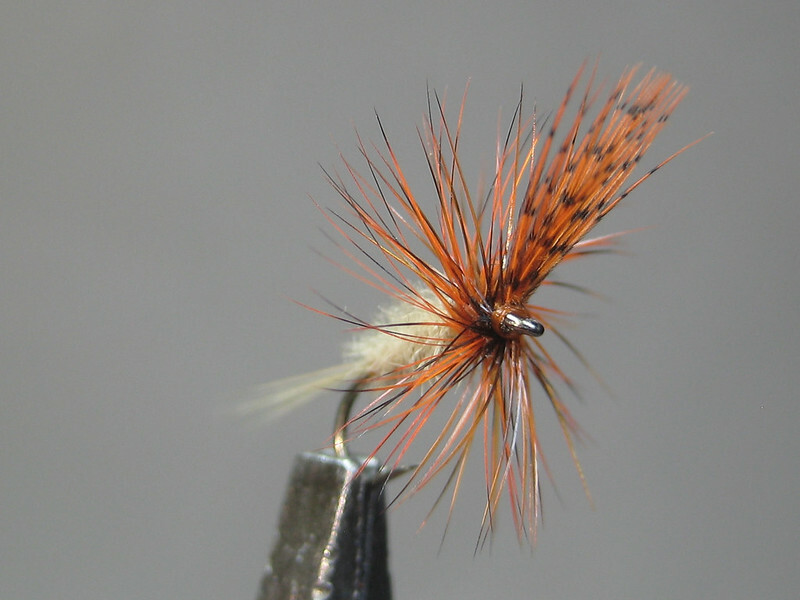 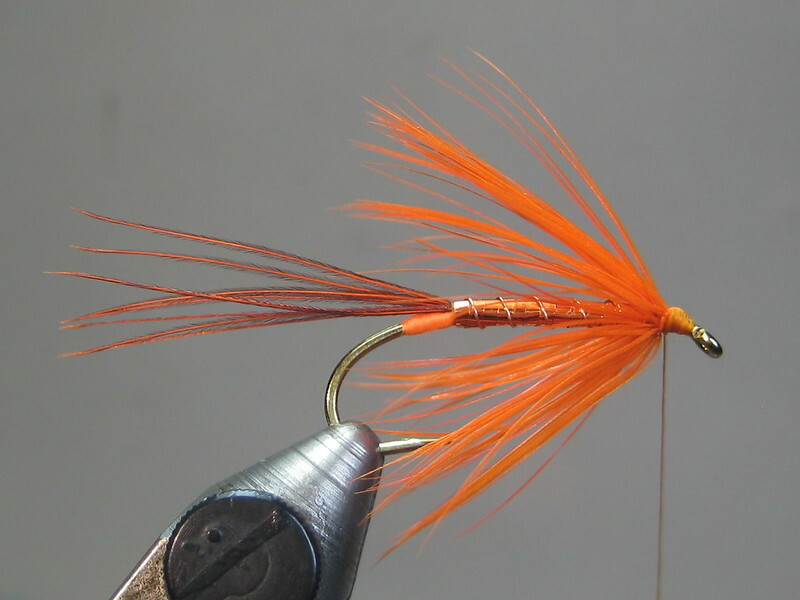 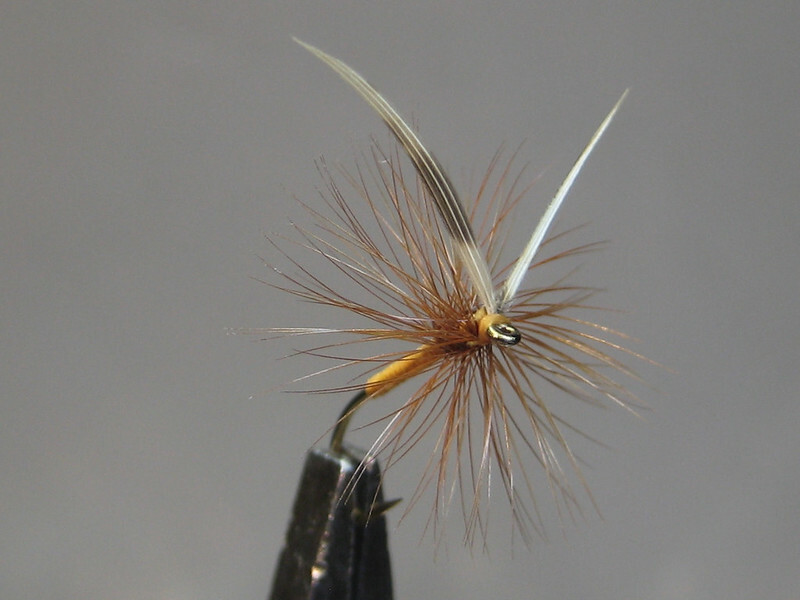 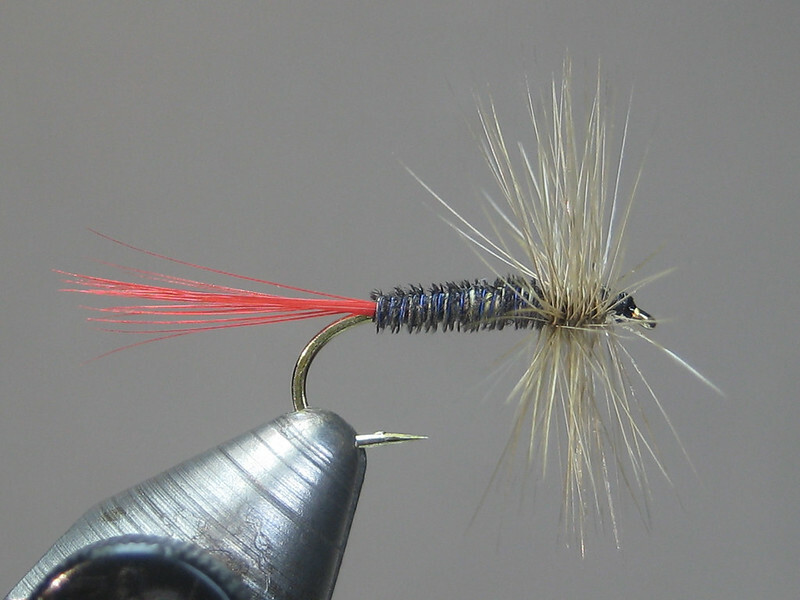 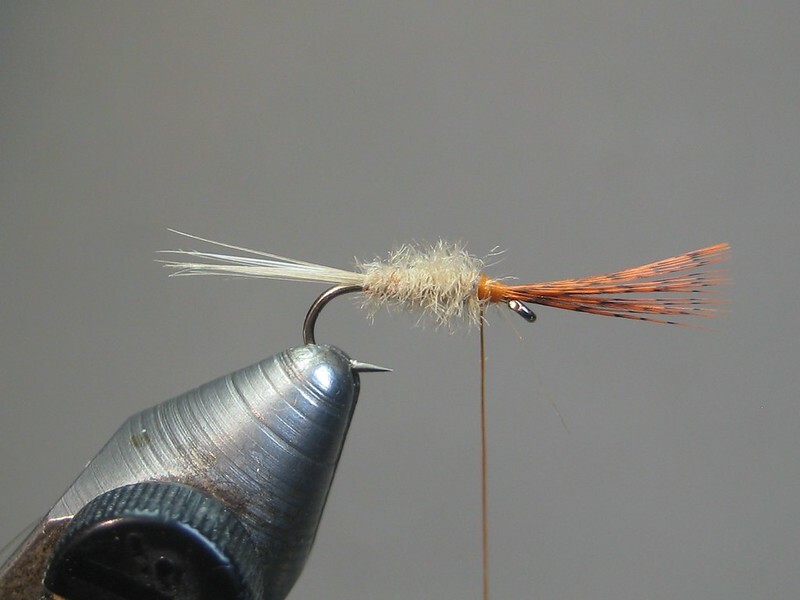 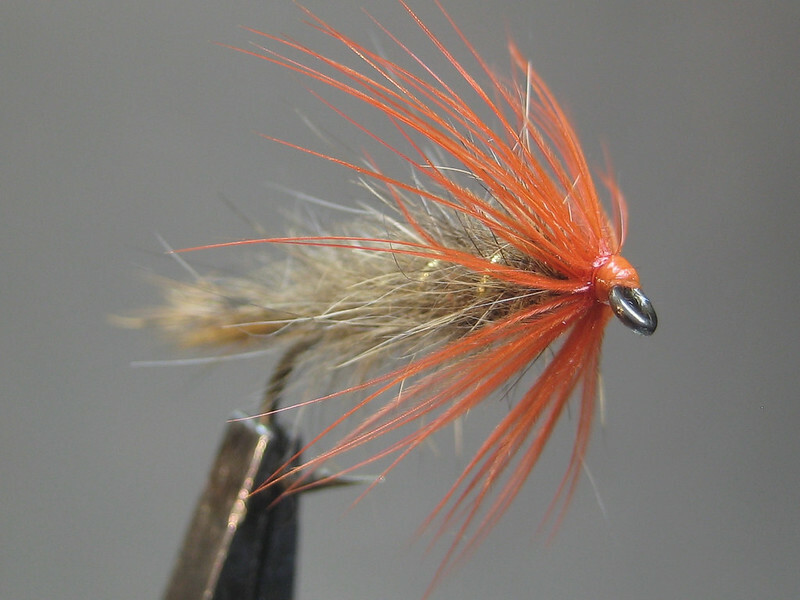 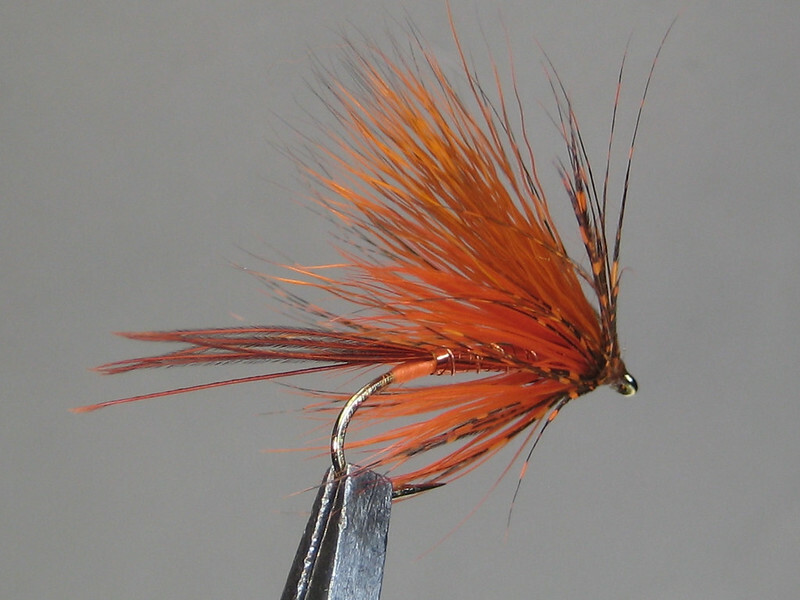 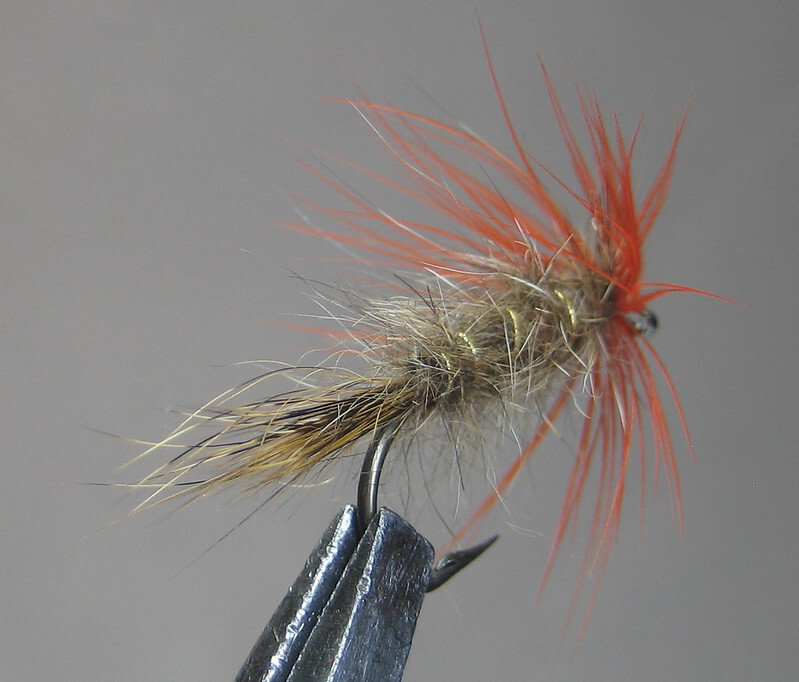 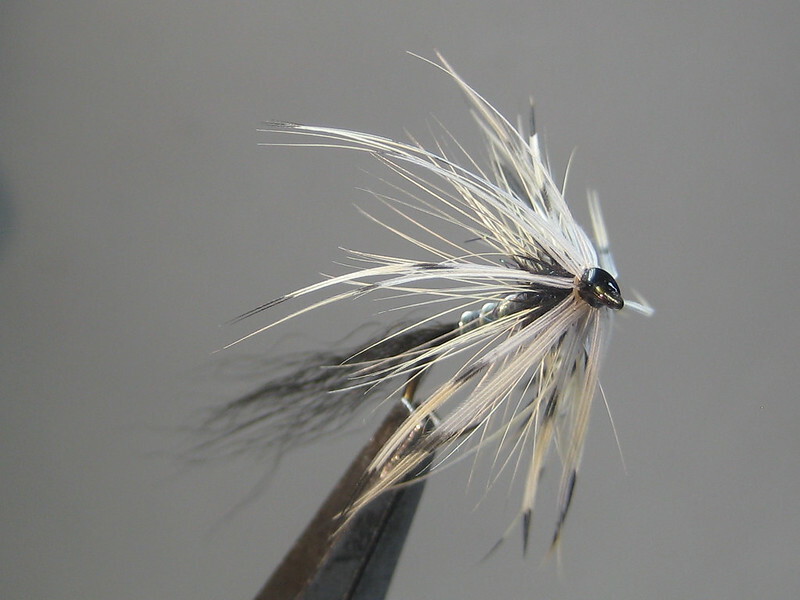 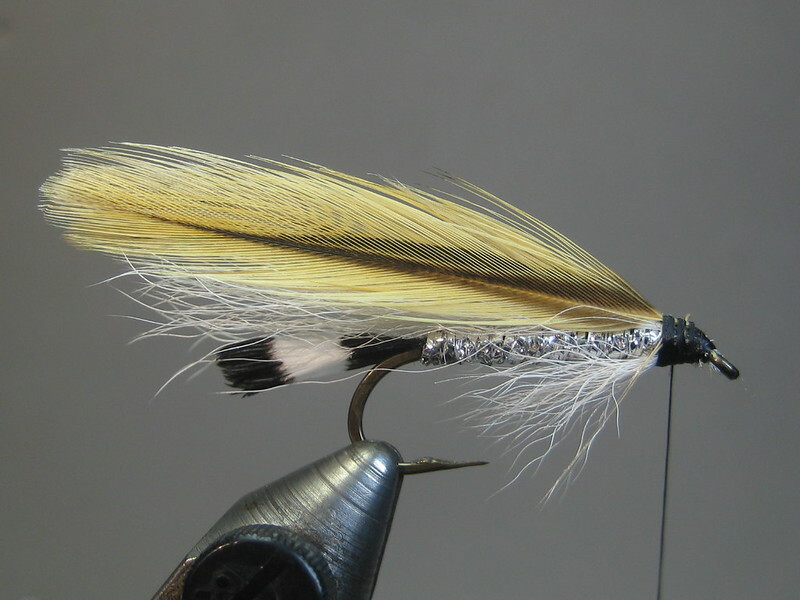 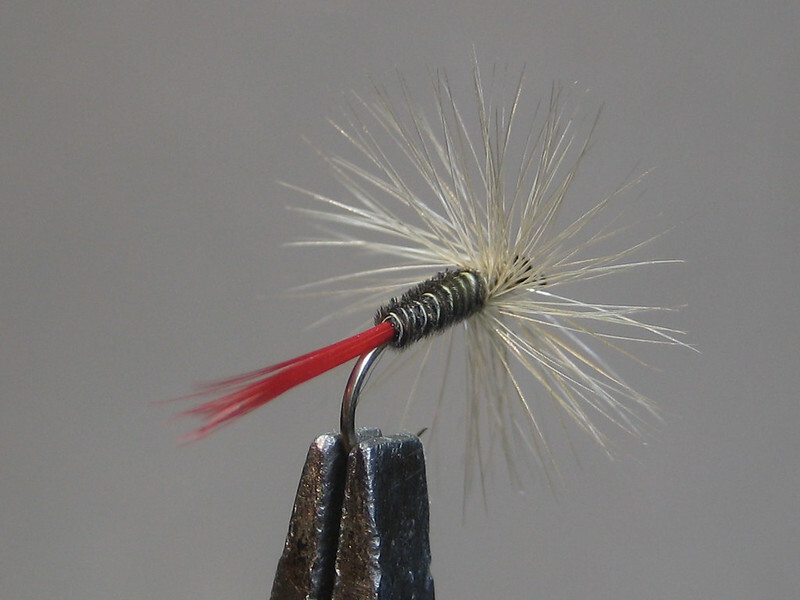 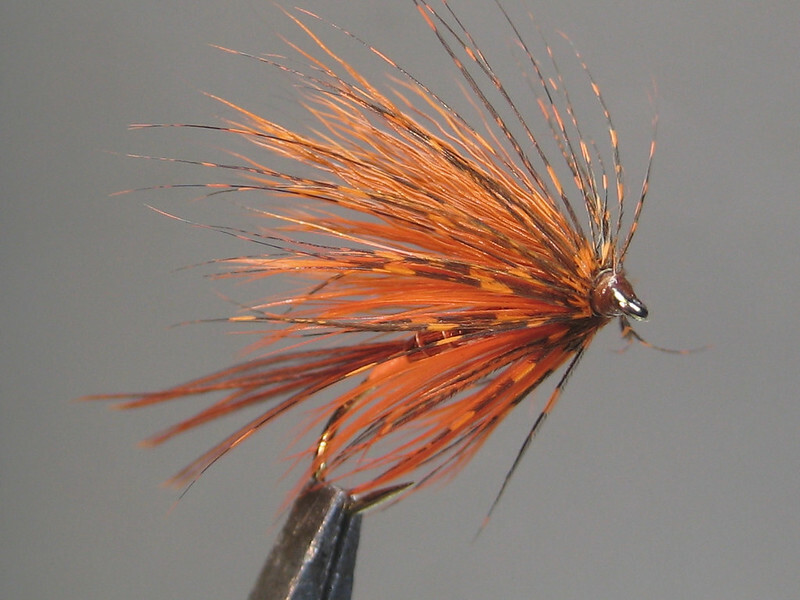 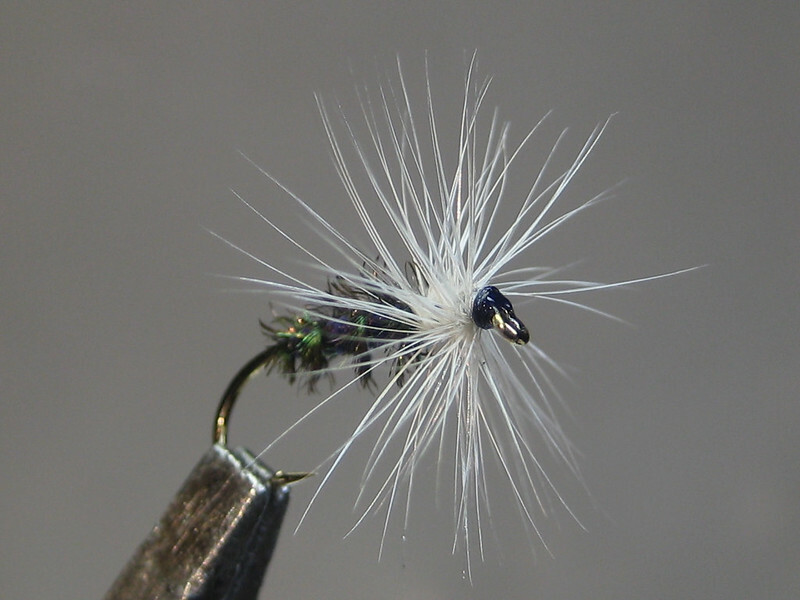 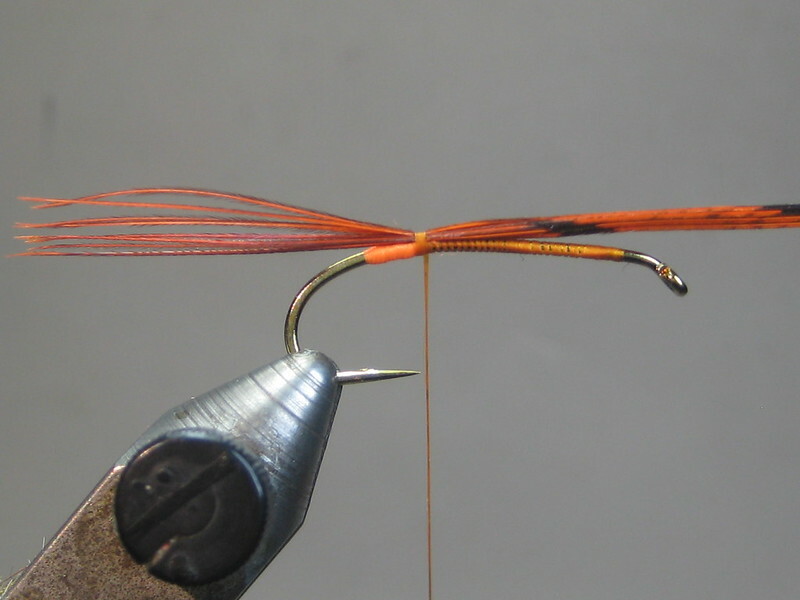 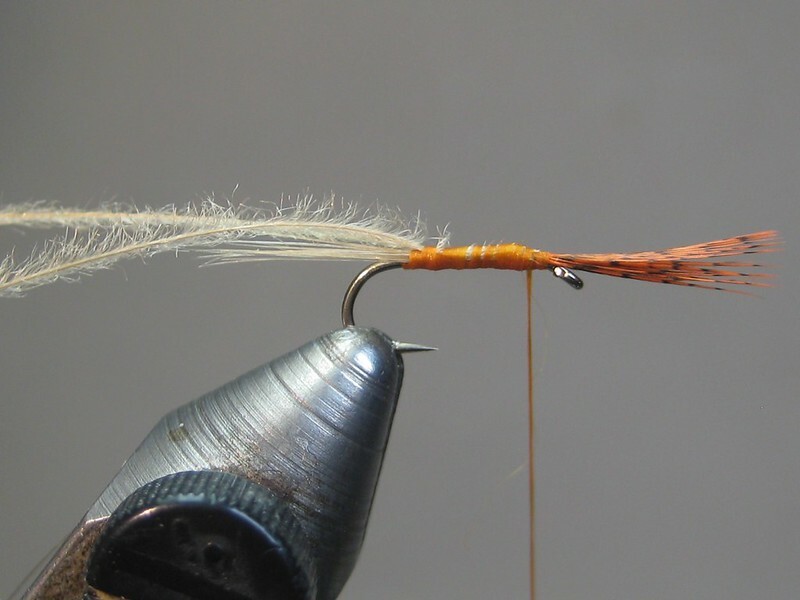 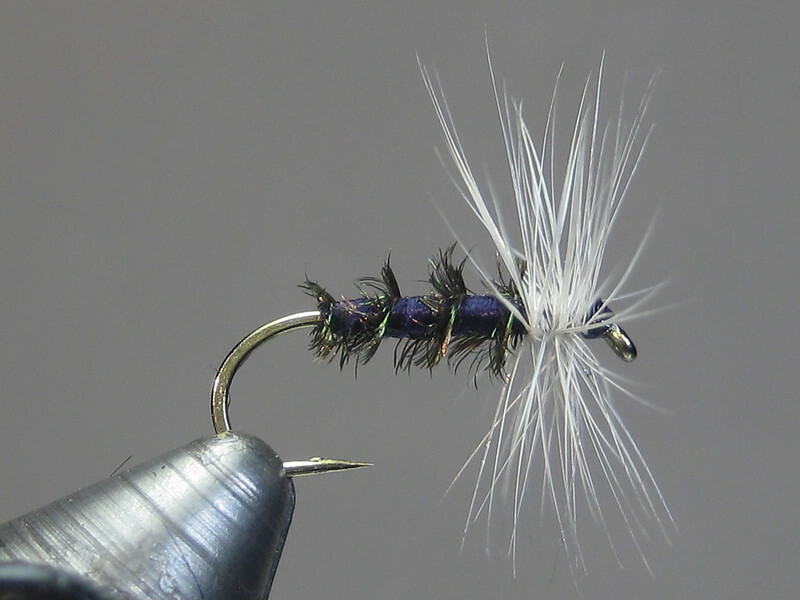 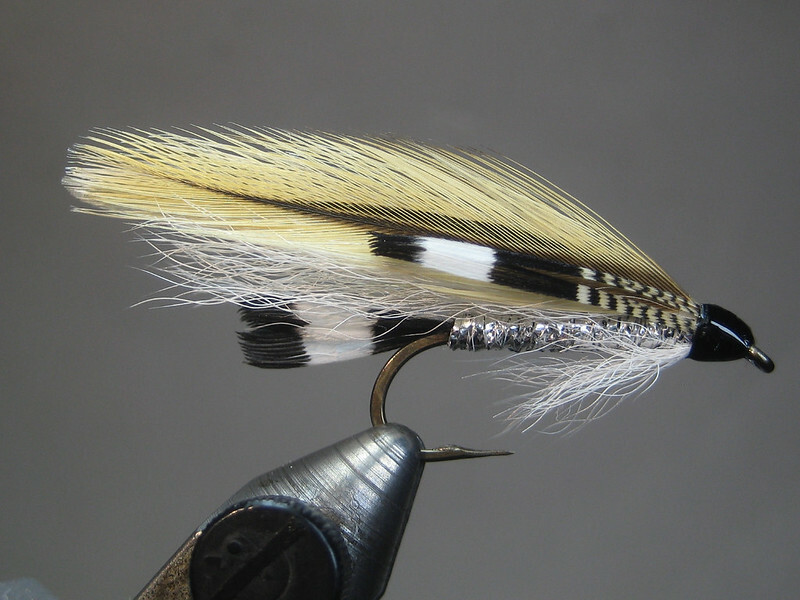 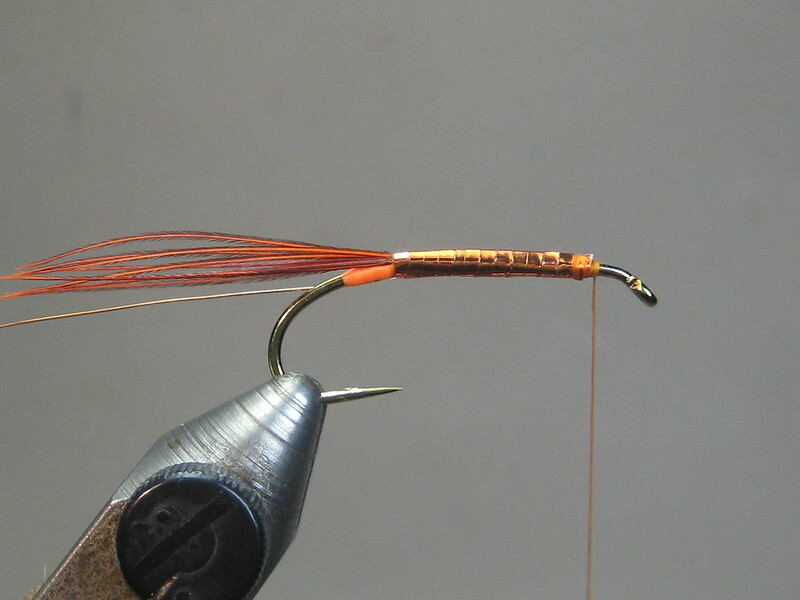 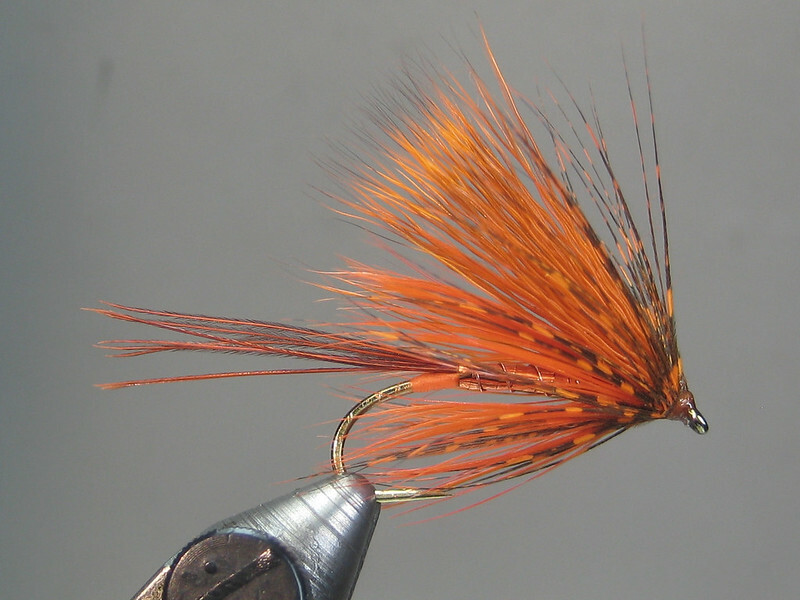 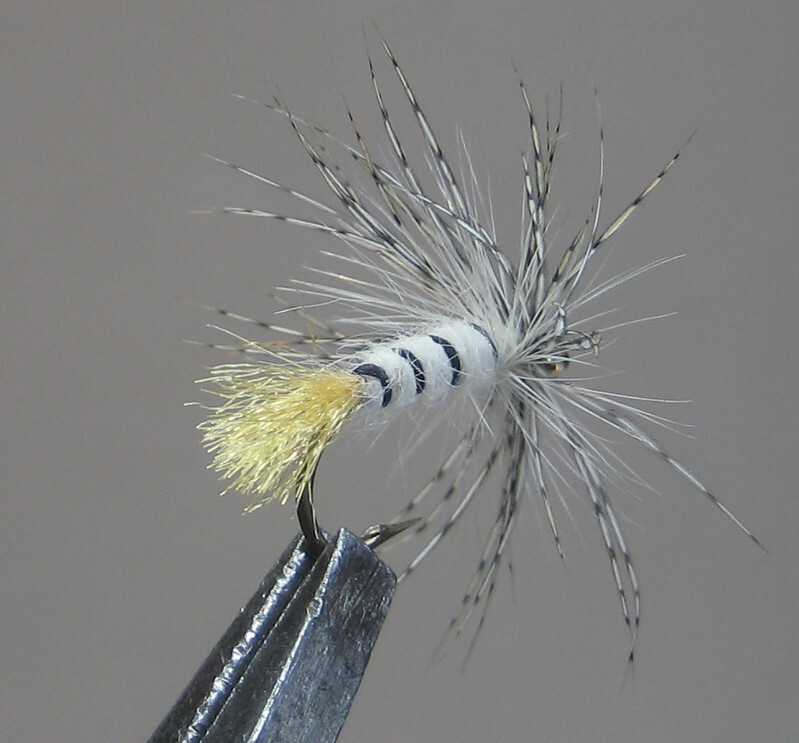 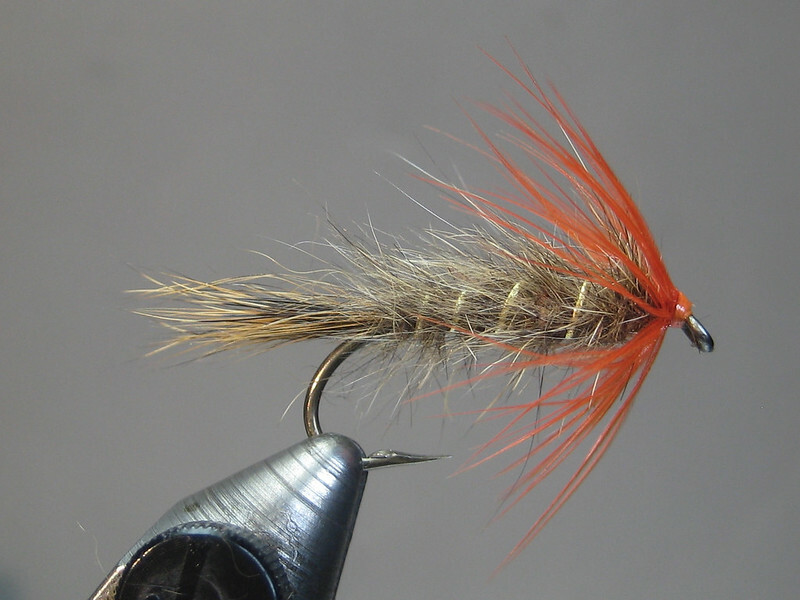 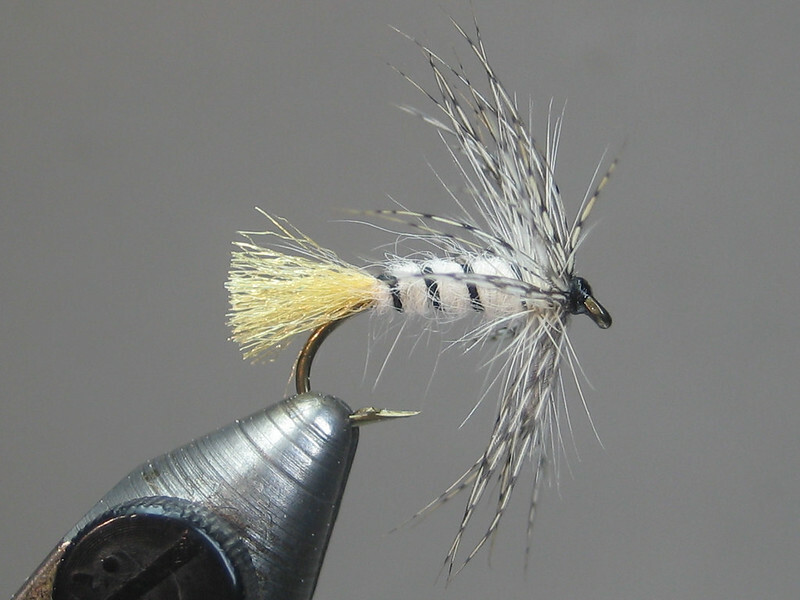 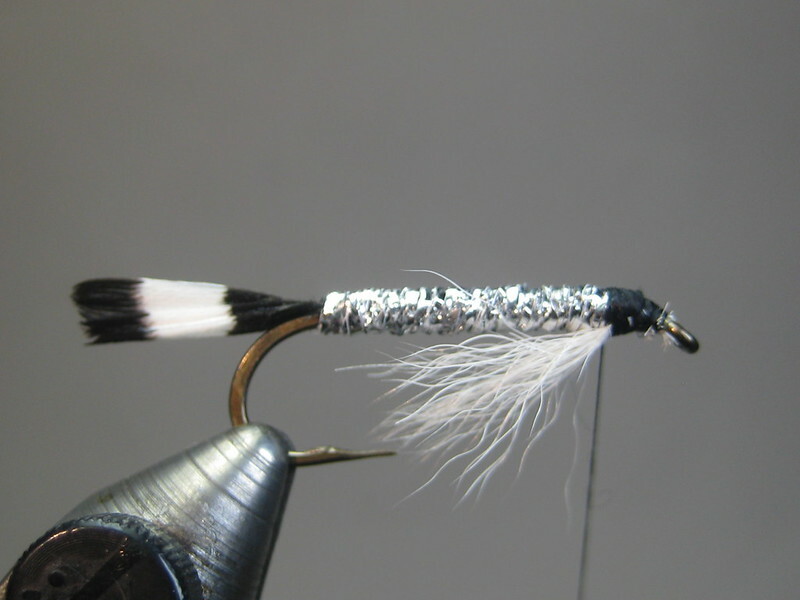 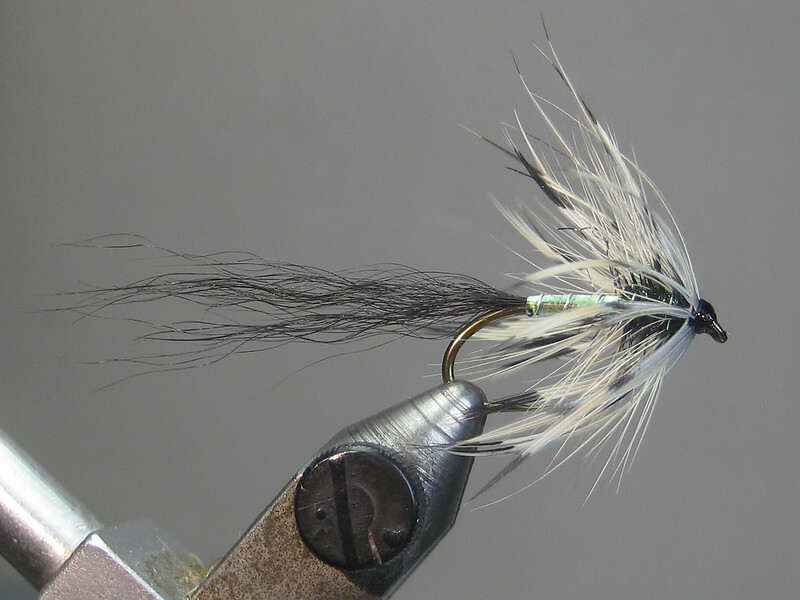 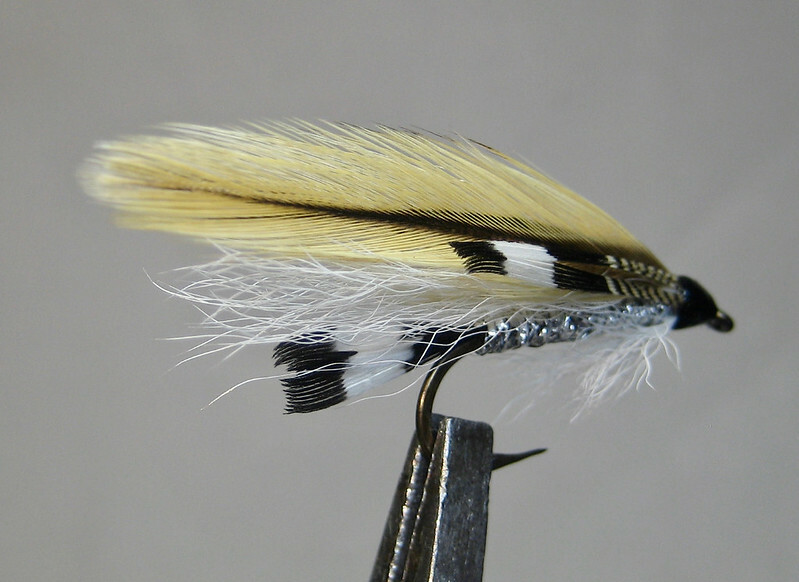 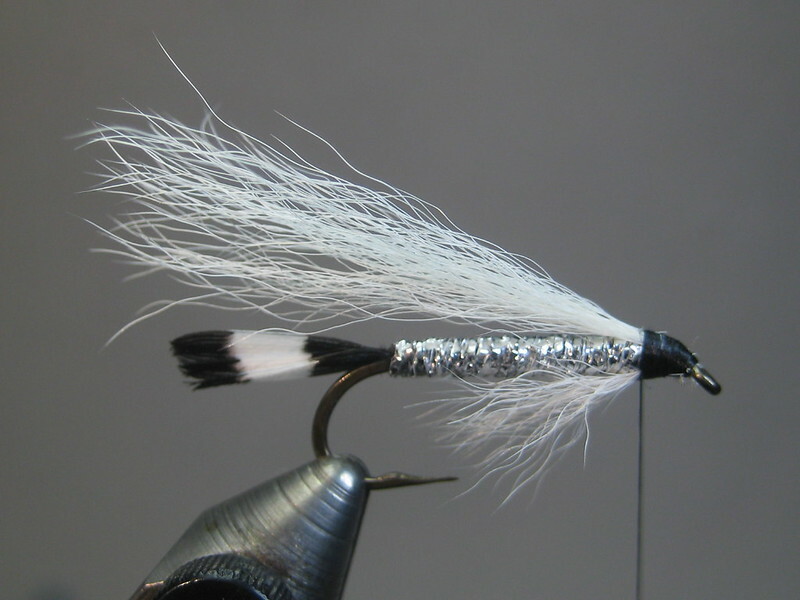 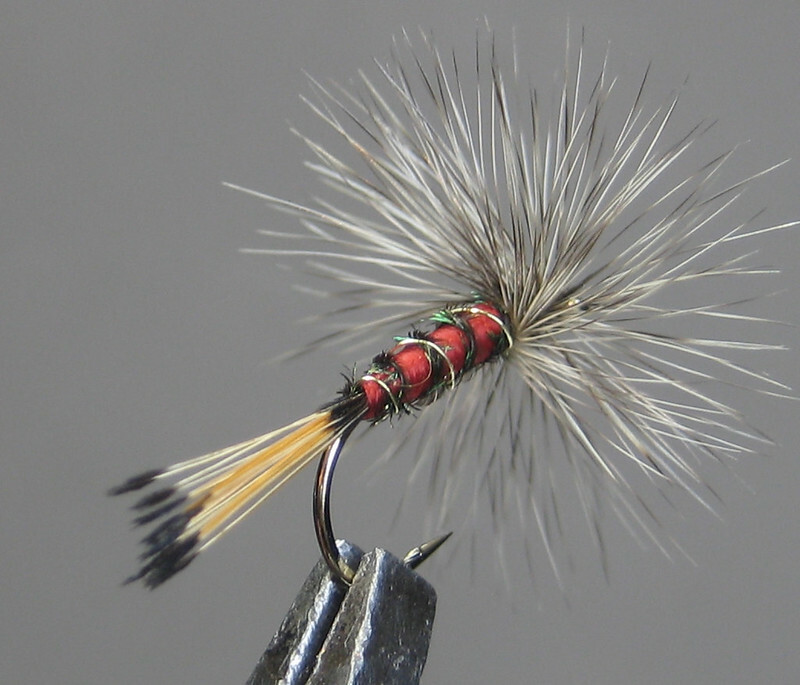 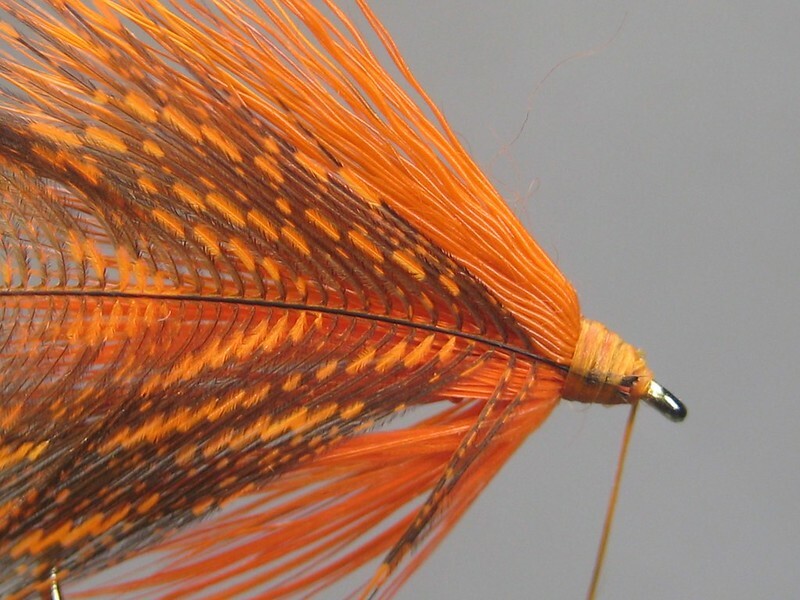 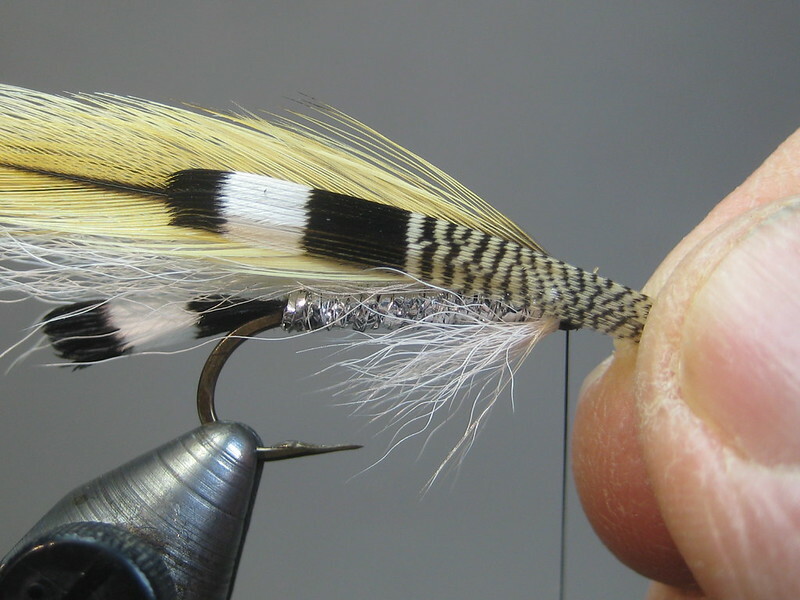 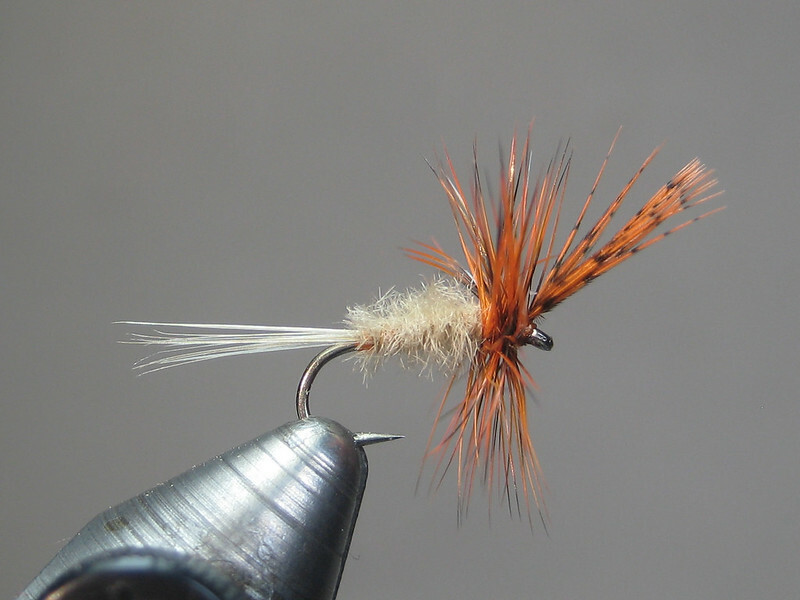 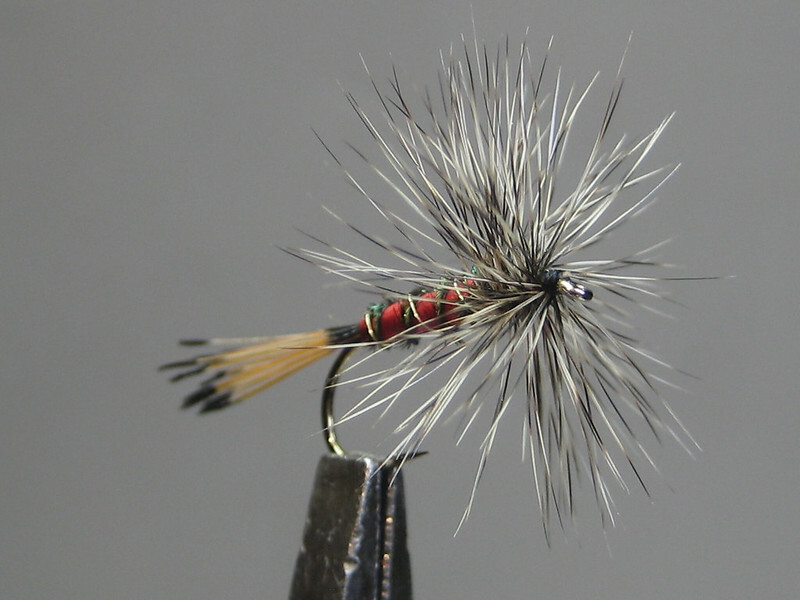 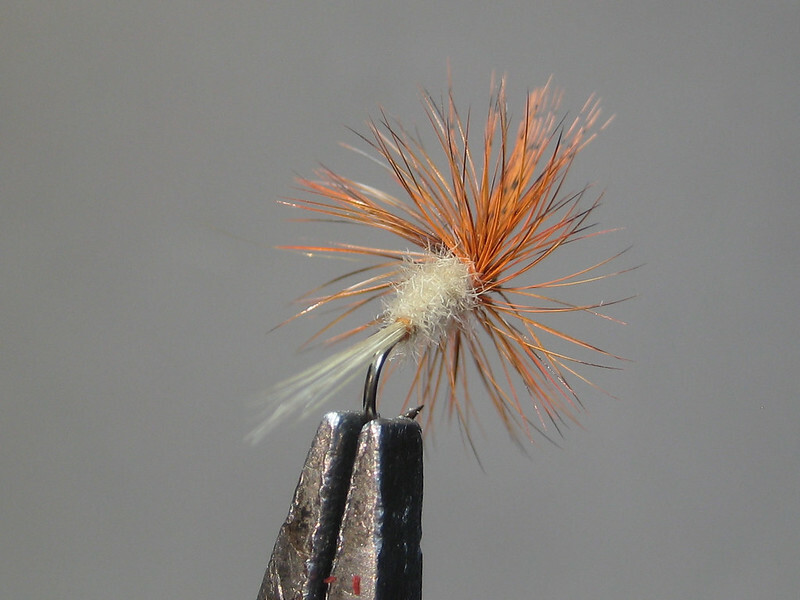 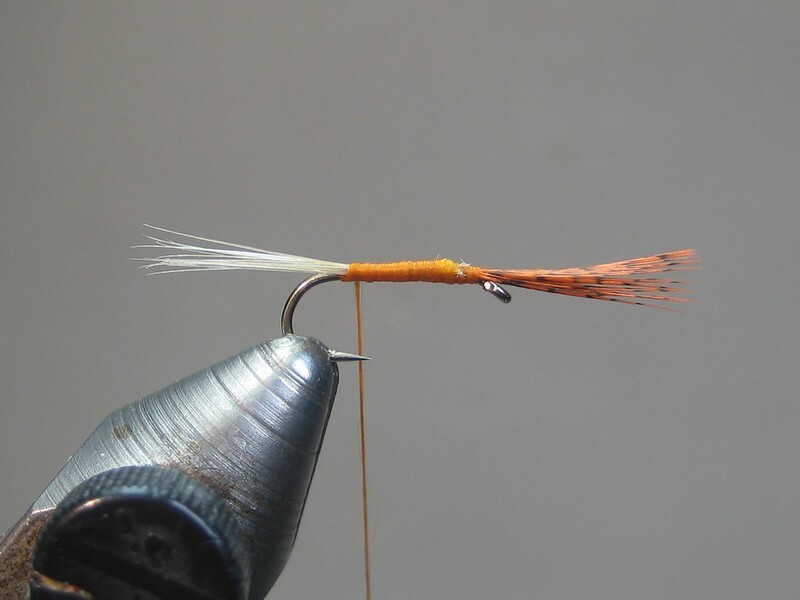 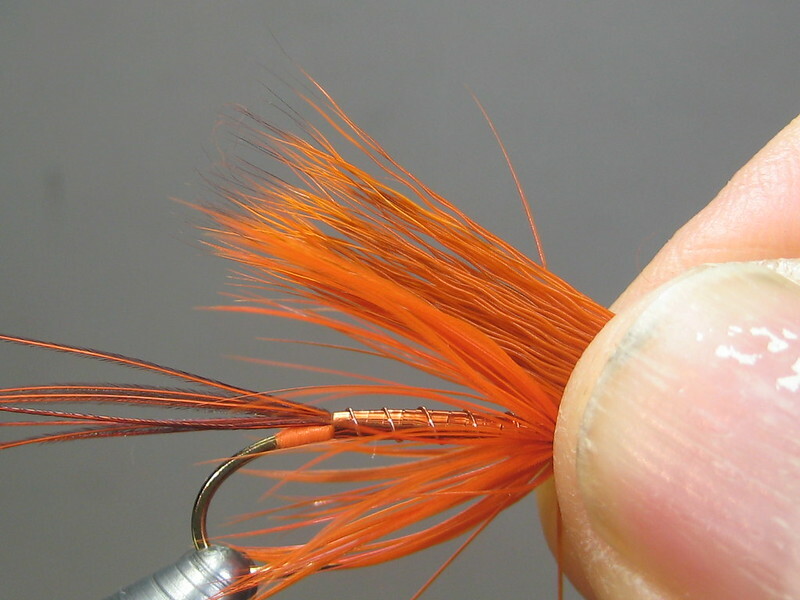 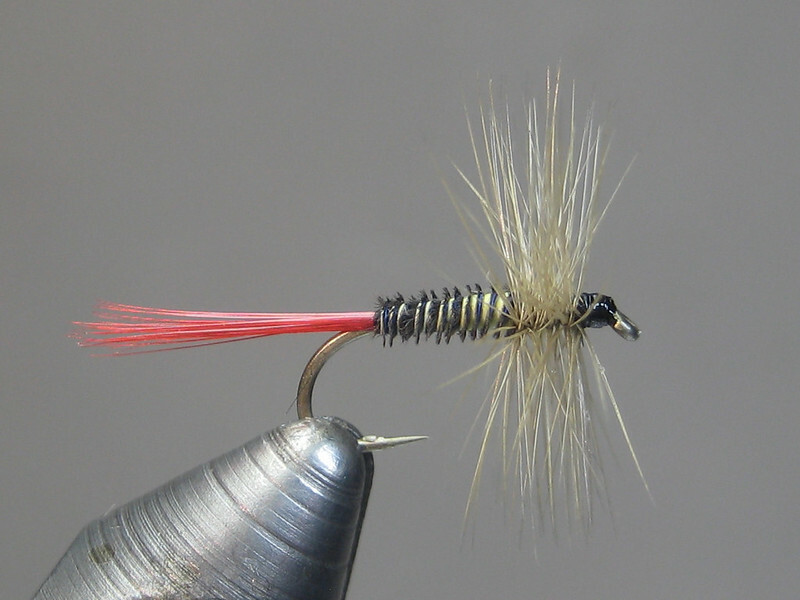 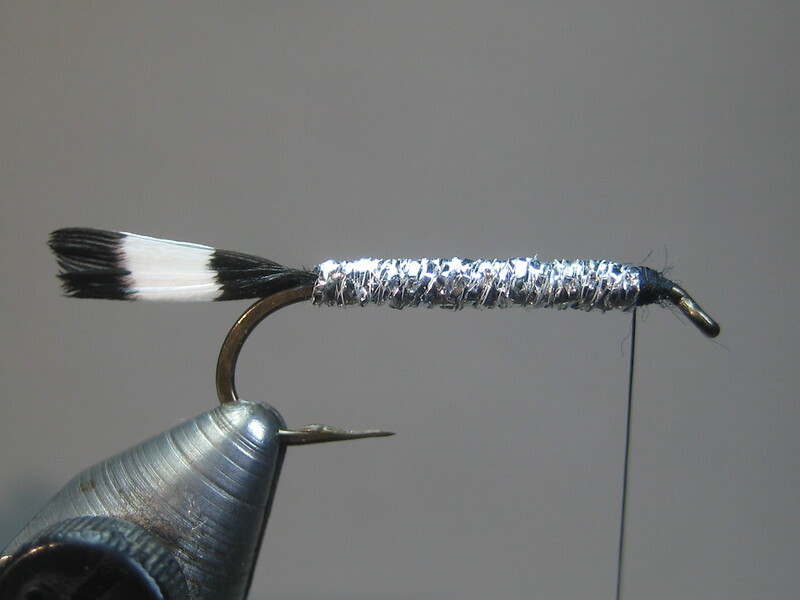 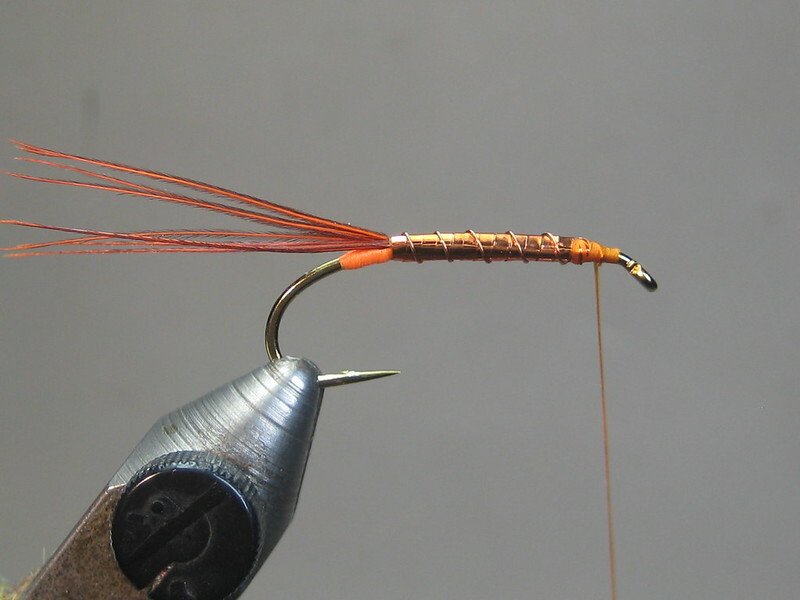 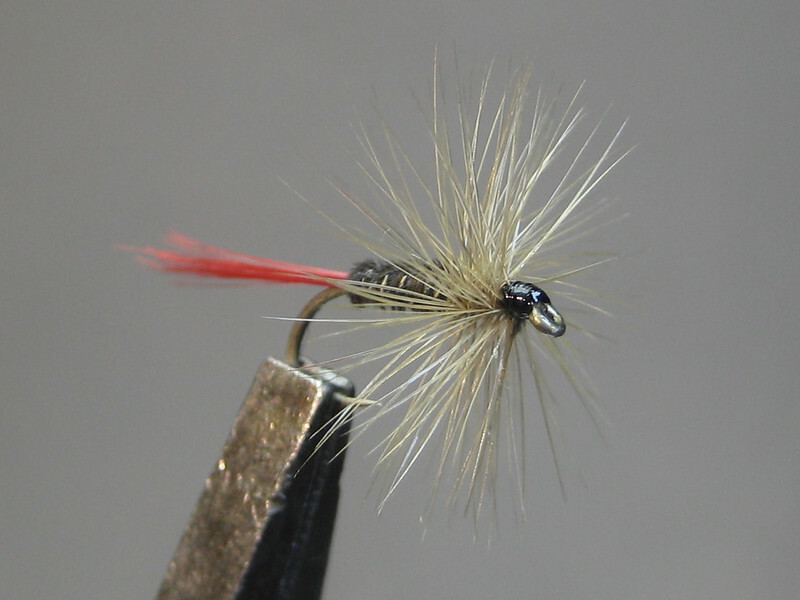 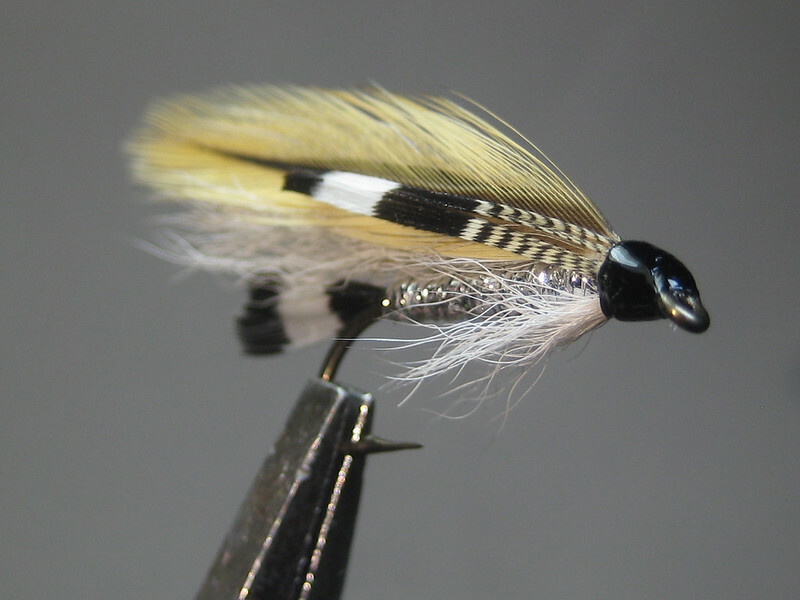 Instructions also call for it be tied with opposing partridge hackles; I prefer this Jingler variation. 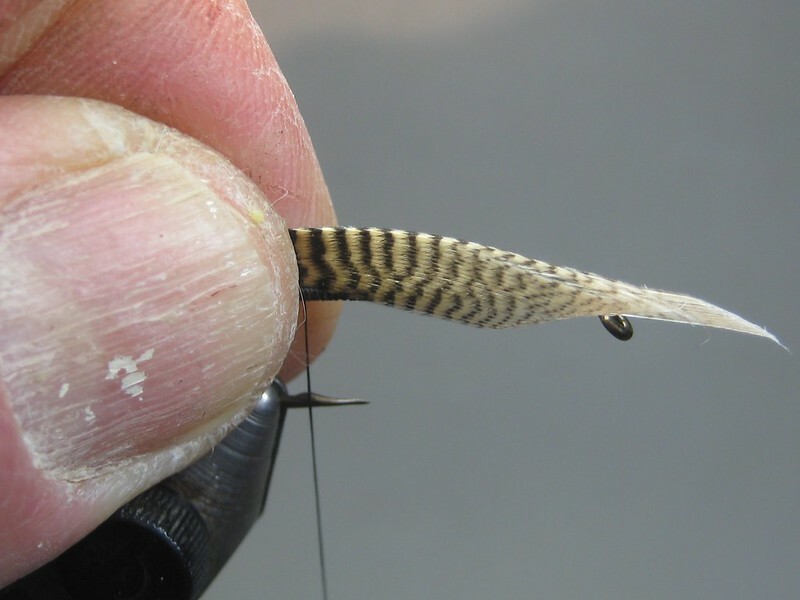 With a few mods, this would make a decent Spruce Moth. 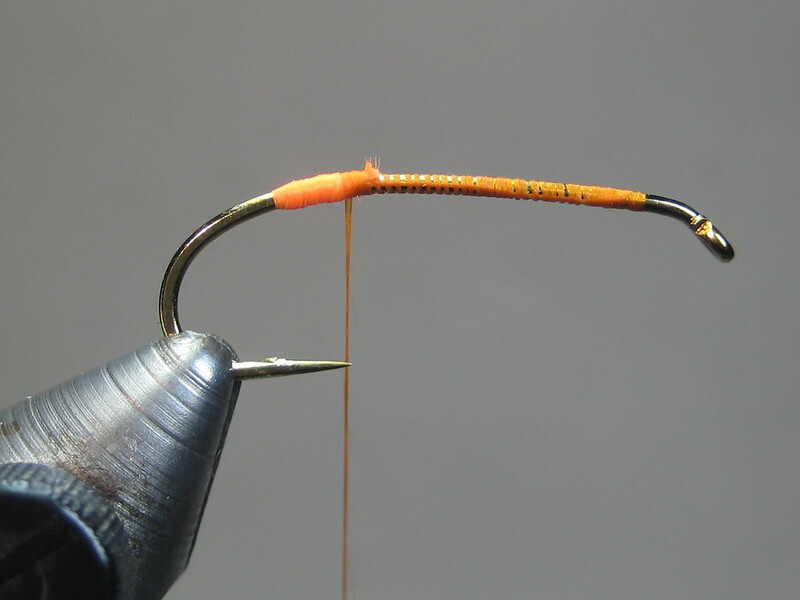 Having had good luck with Buzzballs with a prominent orange cast, I made some mods to the color scheme. 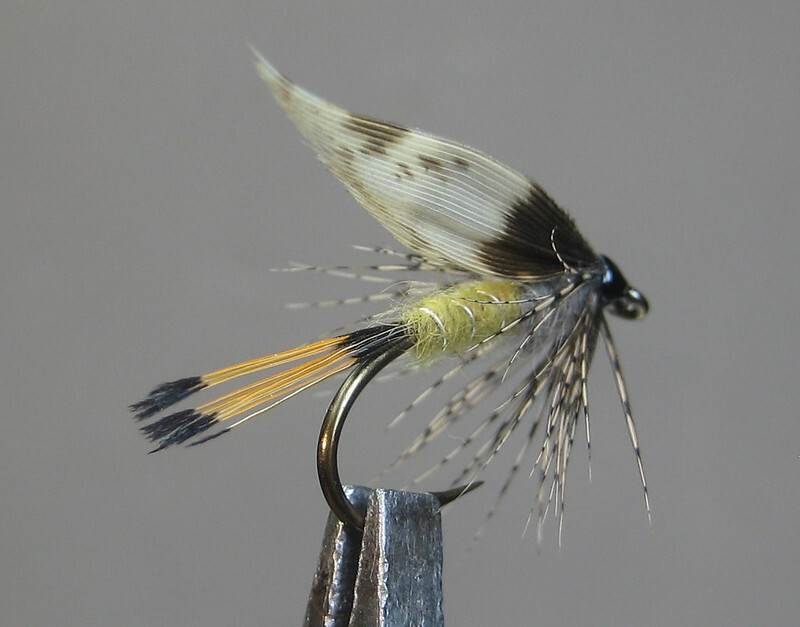 Loosely translated, Welsh for "Mummy's Boy"; this fly has it's origins in the Conwy district. 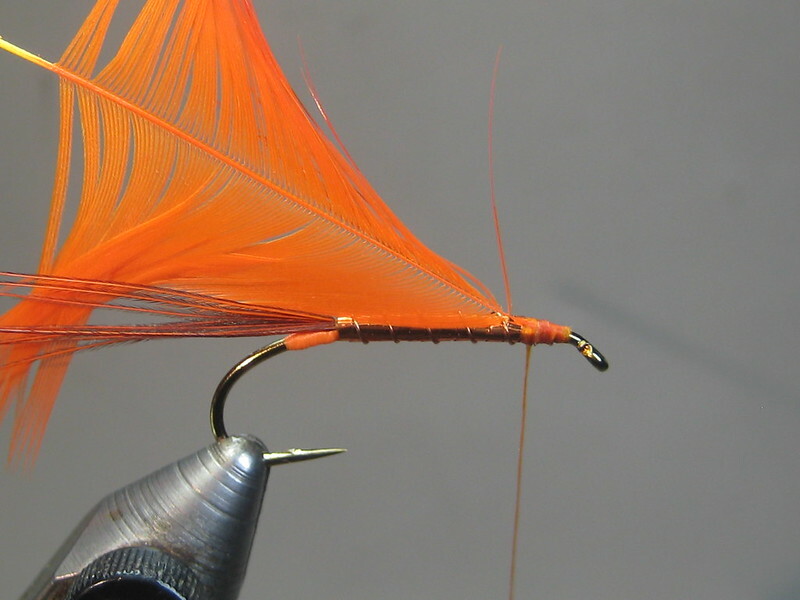 An Irish lough pattern. 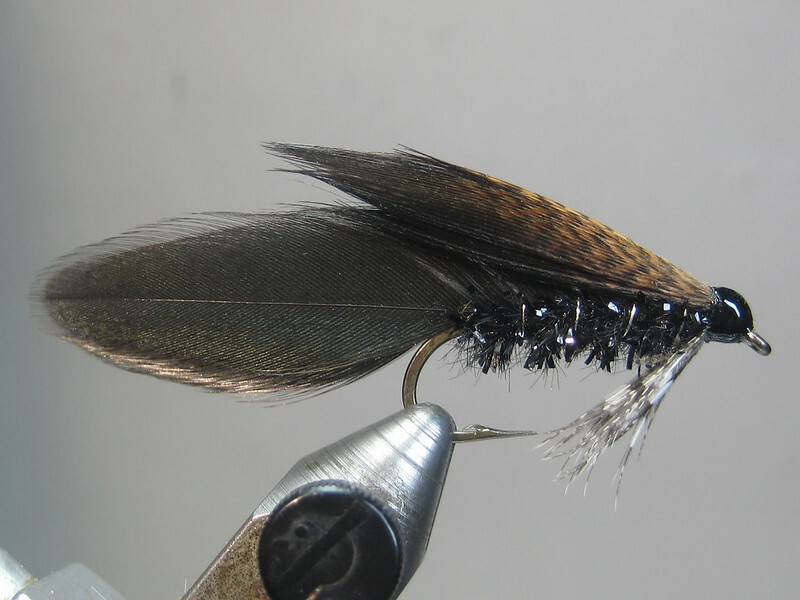 Original was tied with a tail of cat (Hector) fur and French partridge collar; lacking that, I subbed possum tail and put the chuckar skin to use.